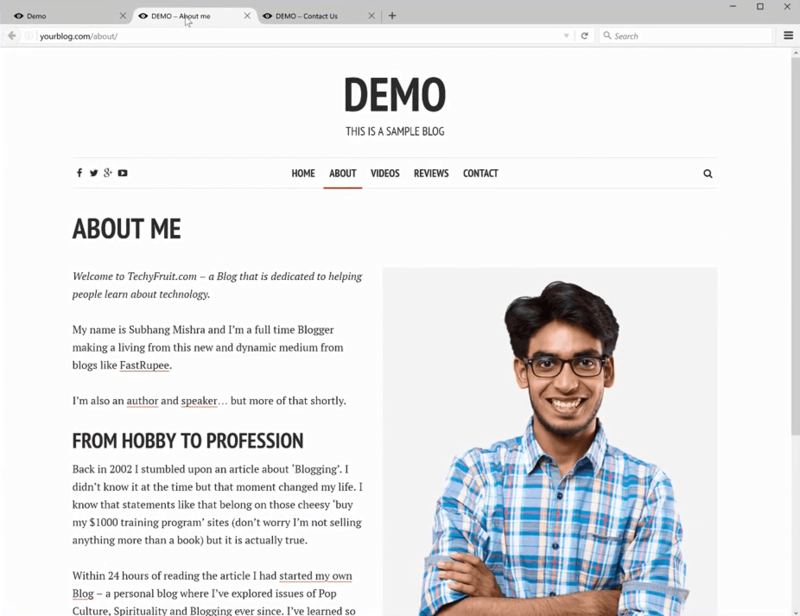 Need to make a blog in the shortest time possible? No worries, I’ll help you out and show you the easiest way to make your own blog! Let’s cut to the chase and get this done step by step. 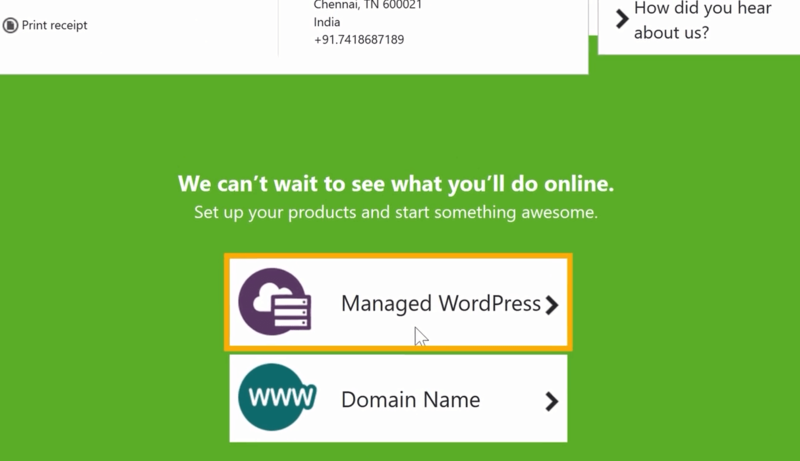 It will have its own URL like ‘YourBlog.com’ or any other domain name you want. 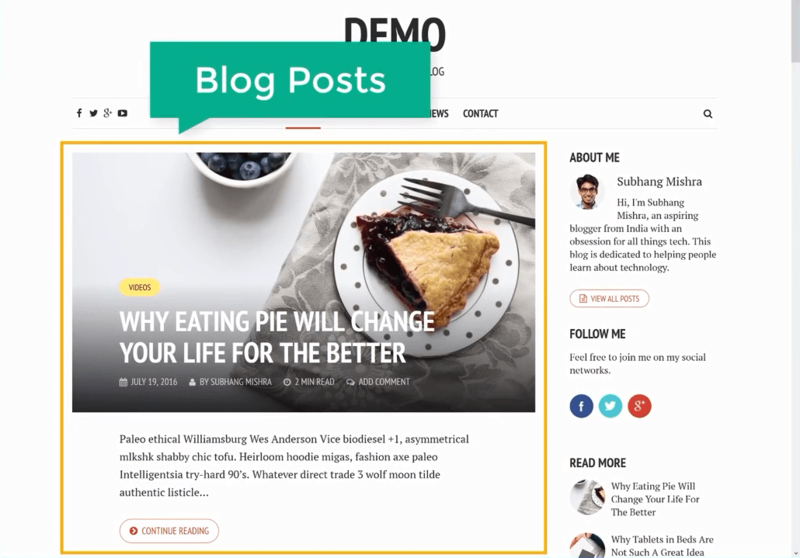 Then we are going to create your blog posts. 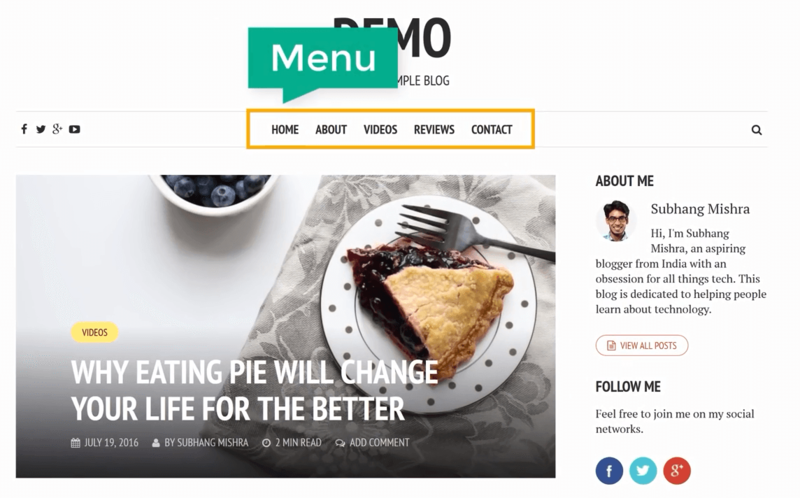 We will create a menu for your website visitors to easily navigate your blog. 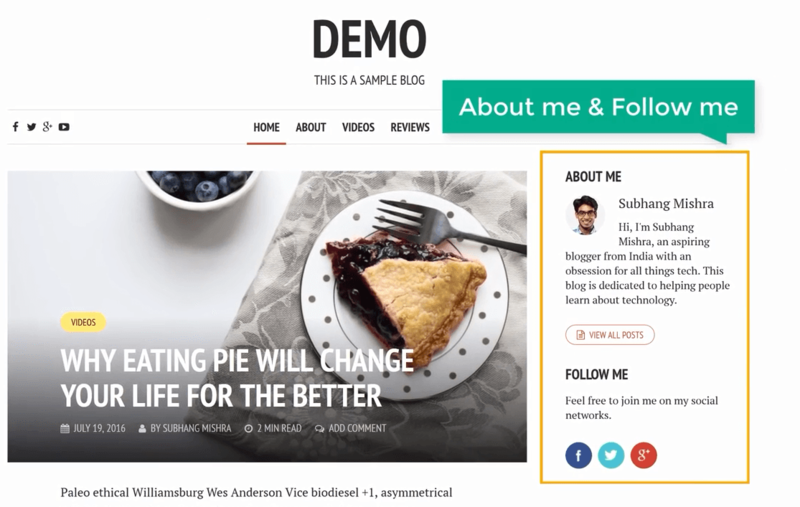 Then we will create an ‘About Me’ and a ‘Follow Me’ section, so your blog users can get to know you and follow your social media profiles. 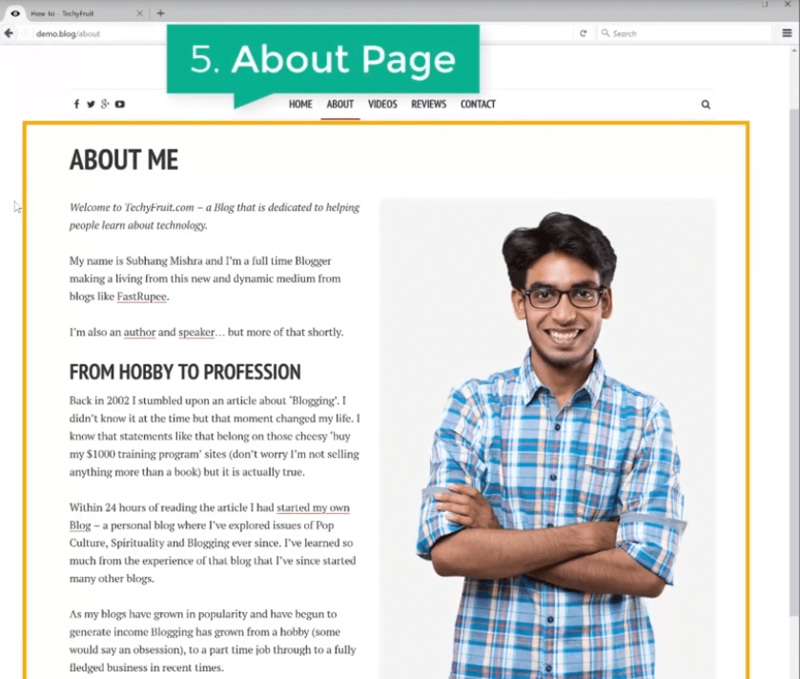 We will also create an ‘About Me’ page. This will show your readers who you are and give them more detailed information about you. 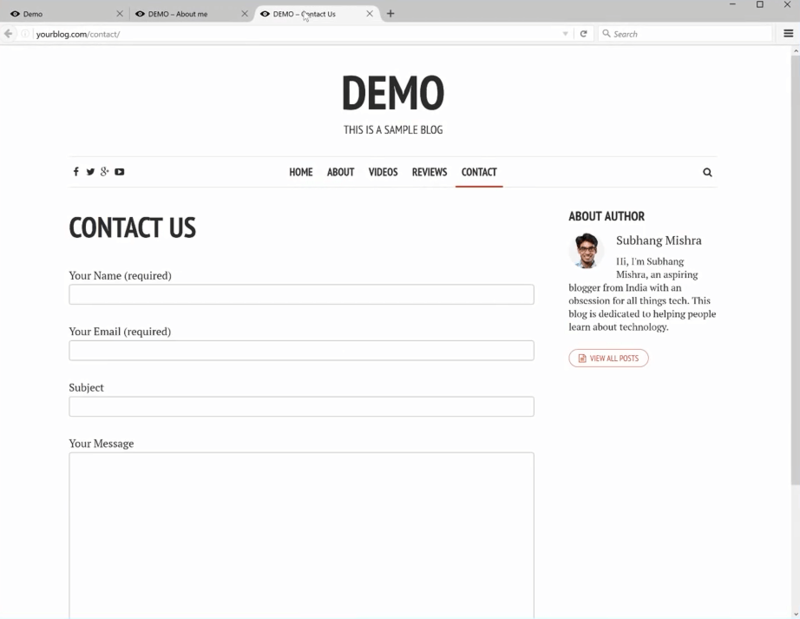 We will create a ‘Contact’ page so your blog users can give you feedback and contact you with suggestions or questions. 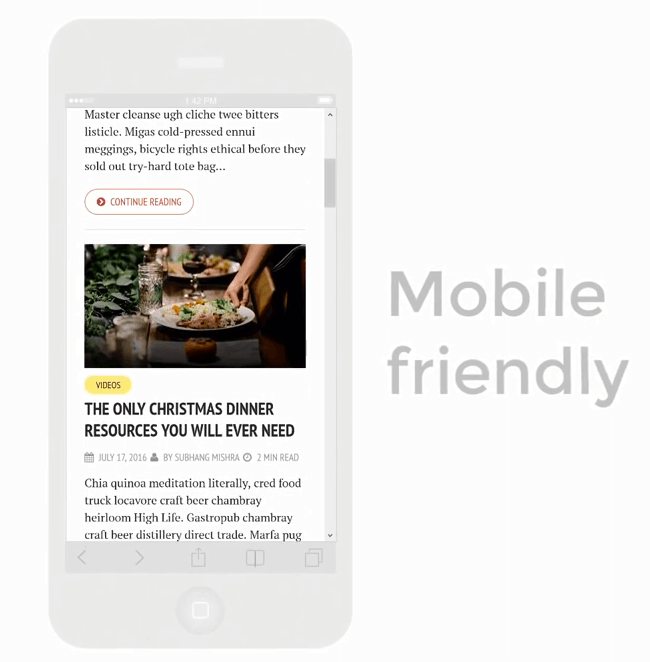 Everything on this blog will be mobile-friendly, so it will look perfect on any mobile device you use. And guess what? We’re going to create all of this in only 4 simple steps! This will be a very easy process, so join me and you’ll get yourself a well-tailored blog in the blink of an eye! To make this process more convenient for you, our WebsiteLearner page will guide you through the process. First, we should choose a domain name for our blog. 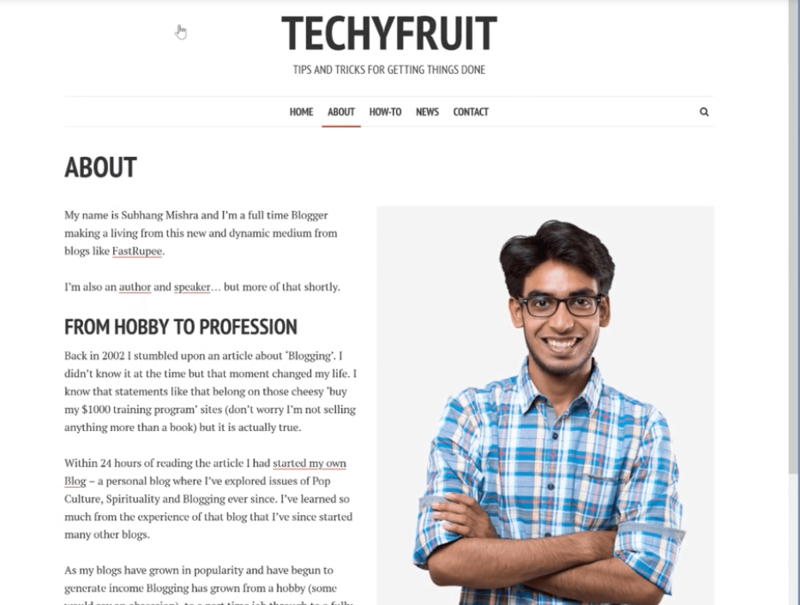 I decided to go with ‘techyfruit.com’. 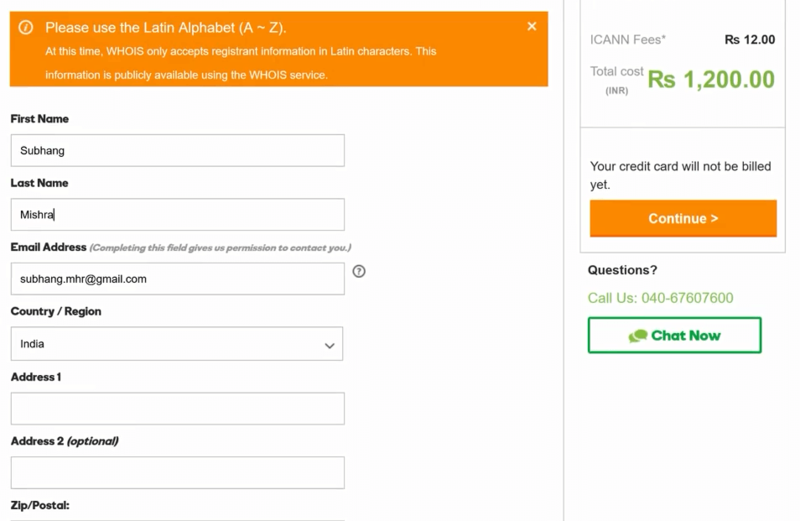 Once you select your website name, our system will help you check if it’s available and we’ll notify you about the availability status immediately. 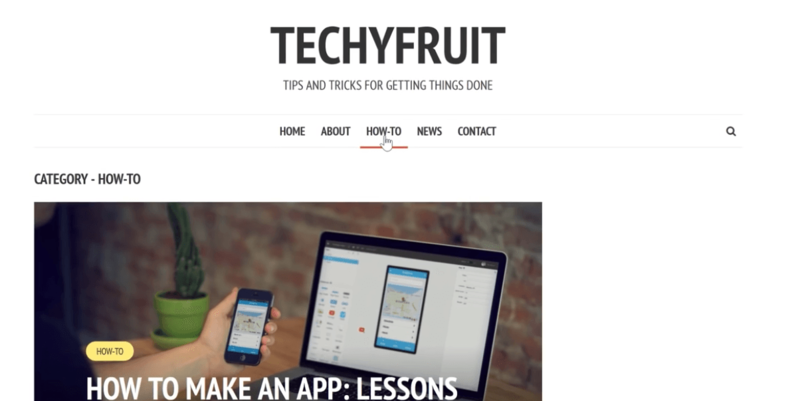 Luckily, ‘techyfruit.com’ is available, so we can go to the next step! 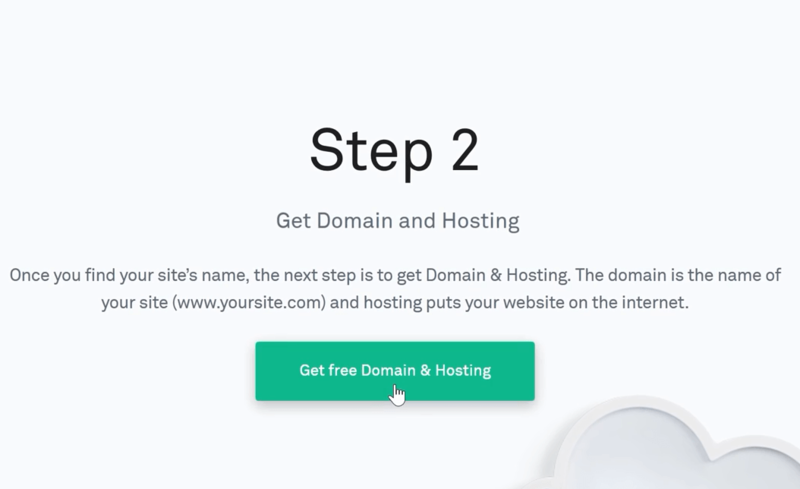 The next step is to get a domain name and hosting. 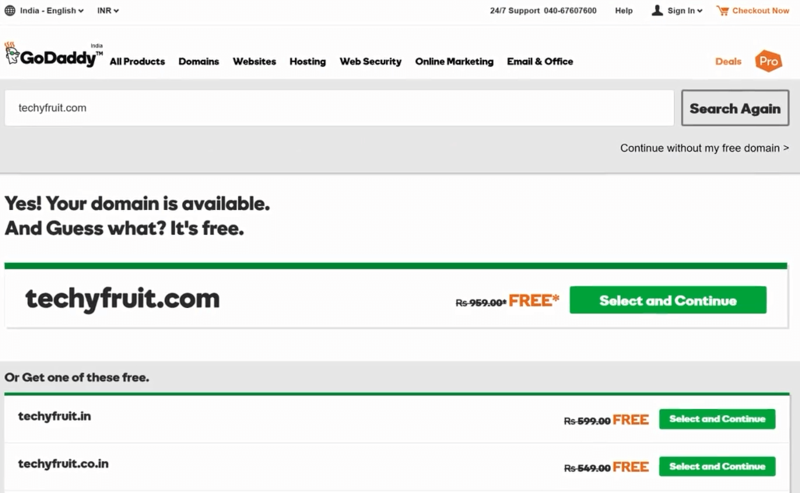 Click ‘Get free Domain & Hosting’. 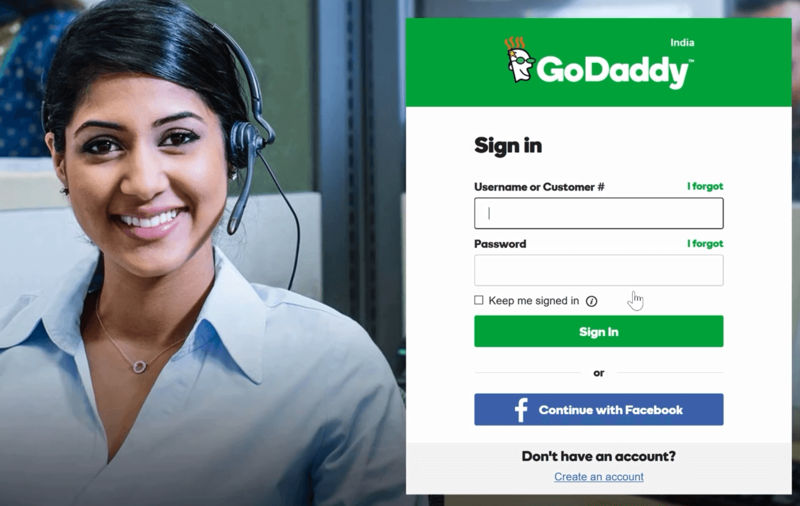 This will take us to GoDaddy.com. 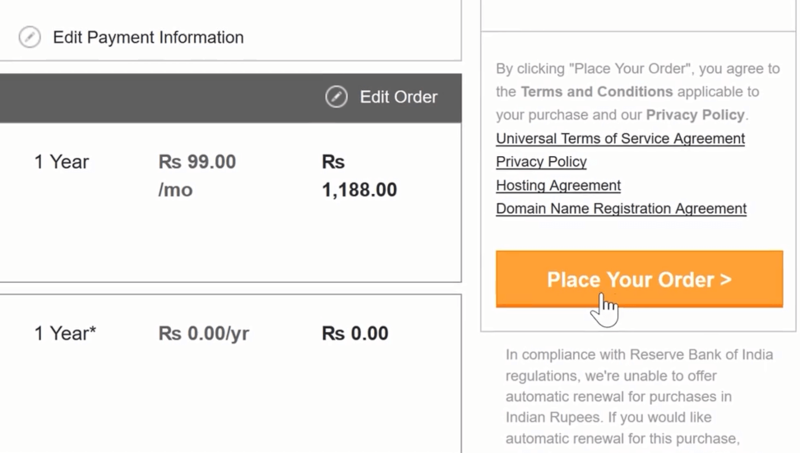 We’ll choose these guys because they give a domain for free and a discount for their hosting. Sounds like a great deal, right? Now let’s click ‘Get Started’, which will take us to the plan selection page. 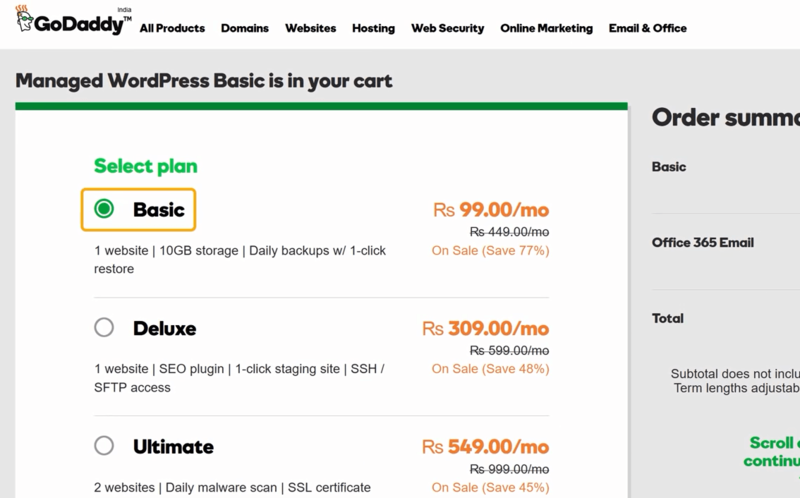 I recommend the ‘Basic’ plan because it will fit any type of blog perfectly. 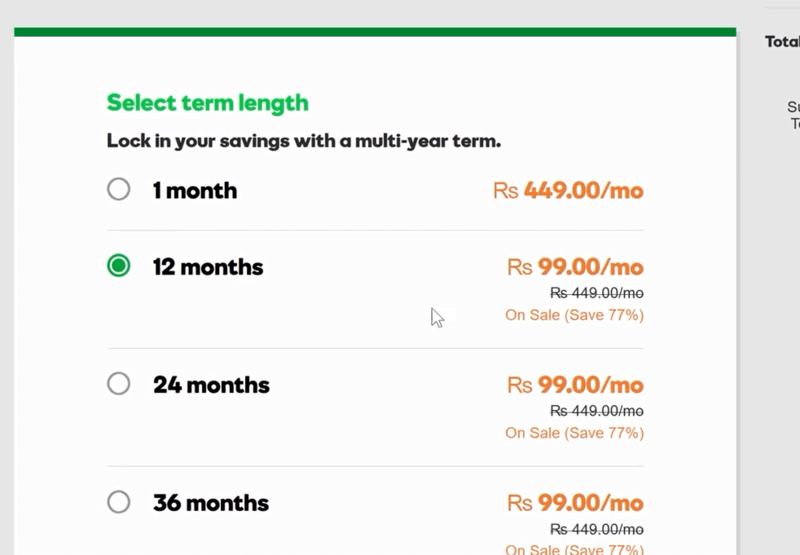 Scroll down and select ‘12 months’, then click ‘Continue’ at the bottom of the screen. Enter your blog’s domain name here and click ‘Search’. 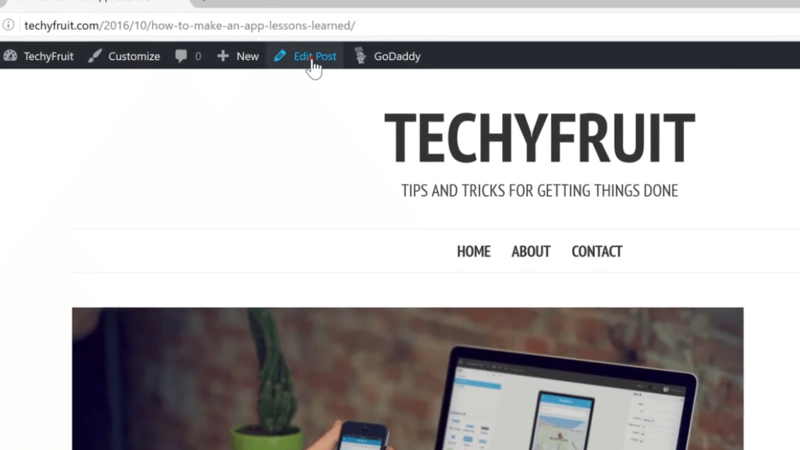 In this example, I’m entering ‘techyfruit.com’, the name I’ve chosen for our blog. 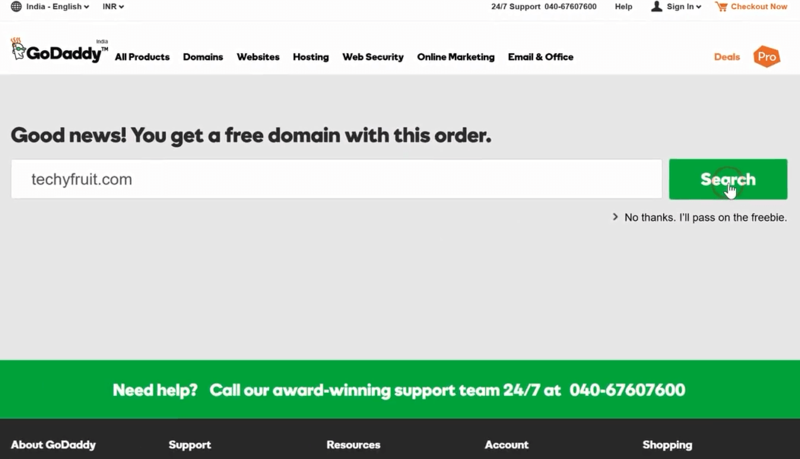 The site tells us this domain is free and we can take it! Click ‘Select and Continue’ to proceed. We won’t need ‘Office 365 Starter E-mail’. 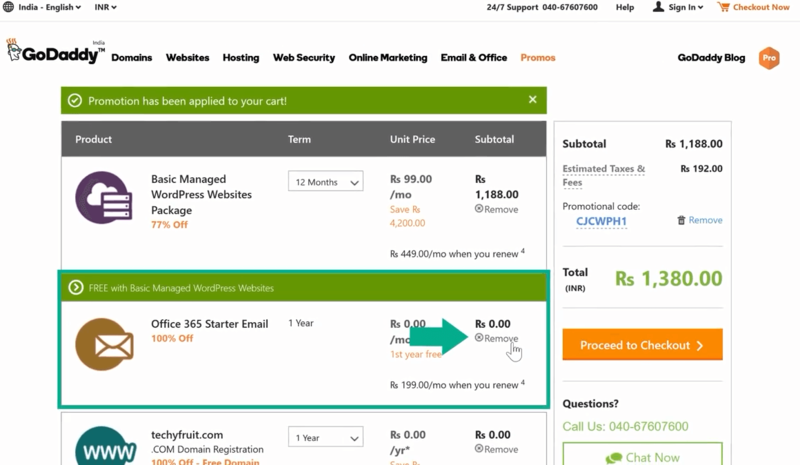 Remove it and click ‘Proceed to Checkout’. Now we need to create an account on GoDaddy. Let’s do this! 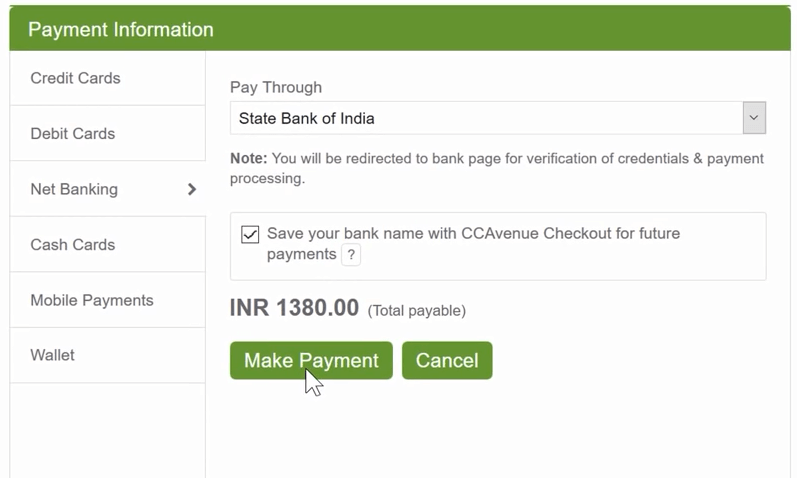 Click ‘Create an Account’ and fill in your details. Create a 4-digit PIN and save it somewhere; you will need it to contact Customer Service if necessary. 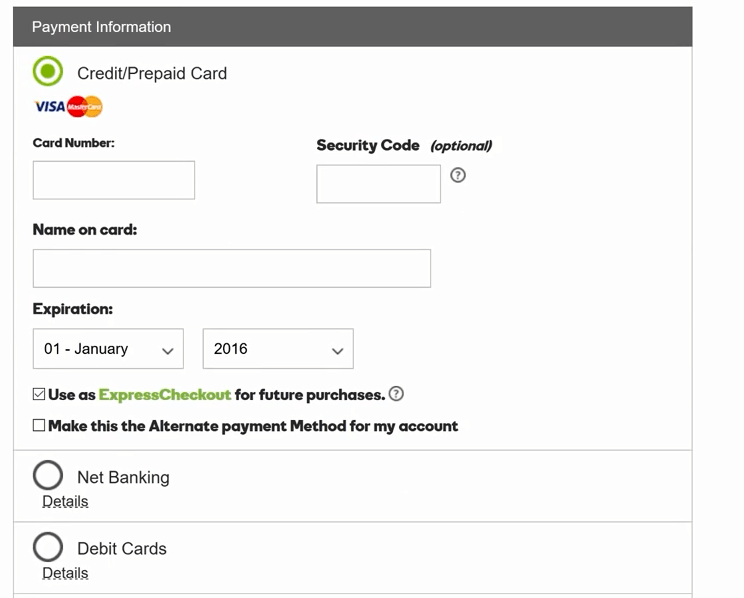 Enter your name, address, and other details, then choose your payment method. Now click ‘Continue’ and ‘Place Your Order’ to wrap everything up. To complete the order, you will have to make your payment. 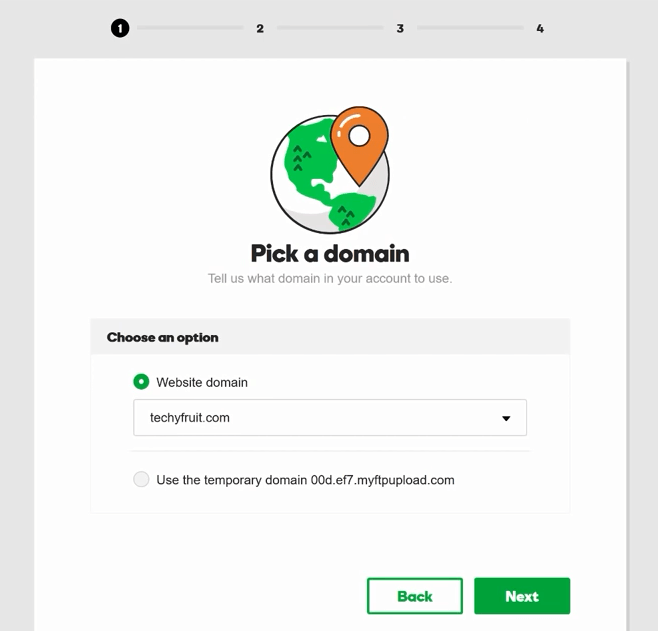 Congratulations, we now have the domain and hosting! We’re only a few steps away from having our very own blog! 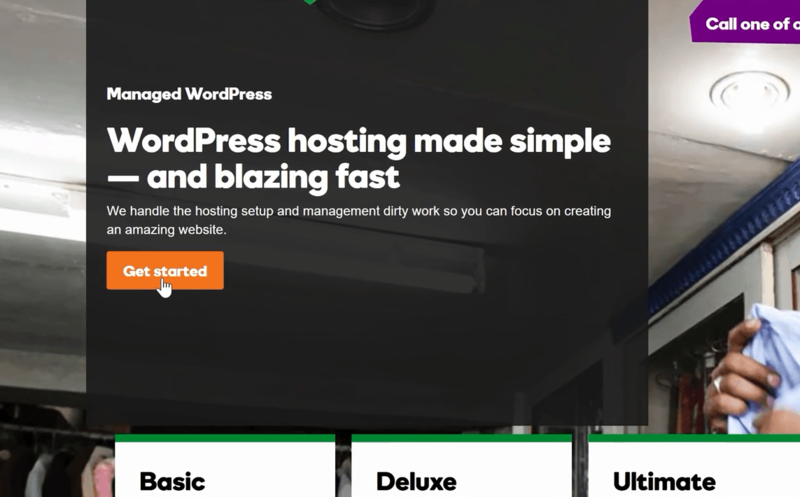 Let’s continue by clicking ‘Managed WordPress’ and then ‘Next’. Click ‘Next’ again. 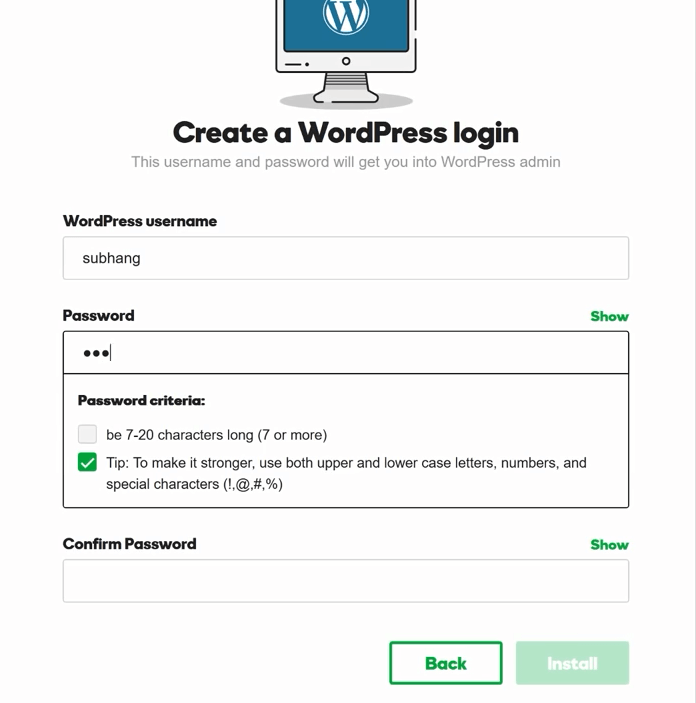 Now we can create a username and password for WordPress. This will be your login for your blog. Click ‘Install’ and let the system run while you have a cup of tea. Just kidding; it’s so fast you won’t even notice the time go by! Once it’s done, click ‘Get Started’. Click ‘No thanks’, then ‘Ok’. 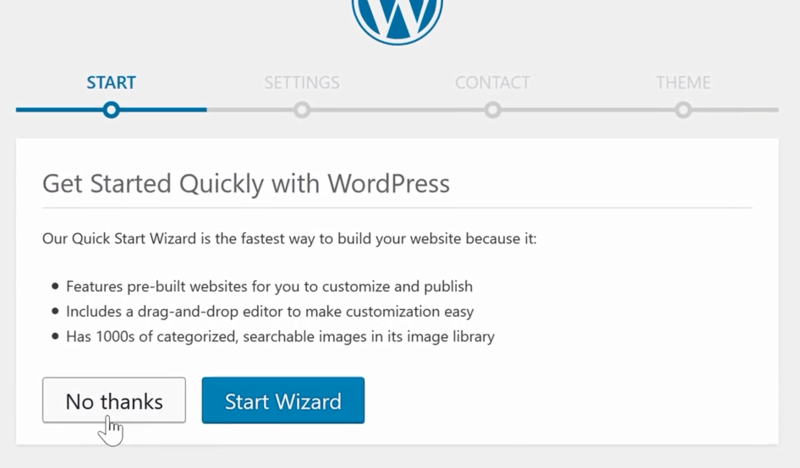 This will take you to the next step of the WordPress configuration. 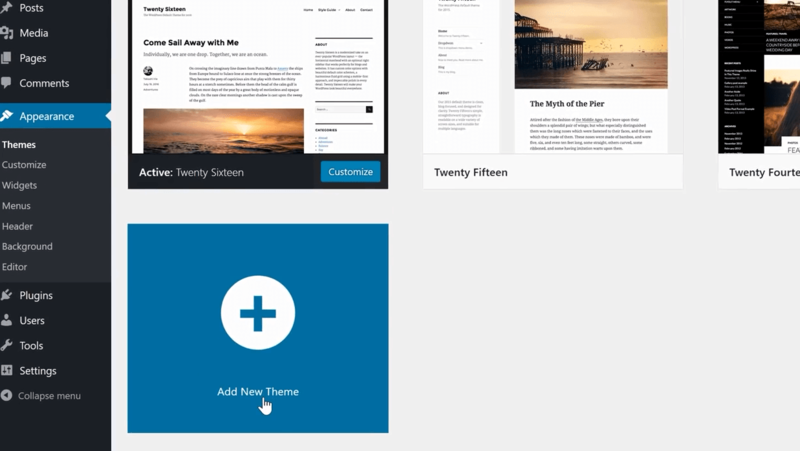 This is the WordPress dashboard. It will serve as your control center, where you can tune in to your blog and customize it according to your needs. If you can see this dashboard, it means your blog is now live! We can check it out by entering the blog name in your browser’s address field. 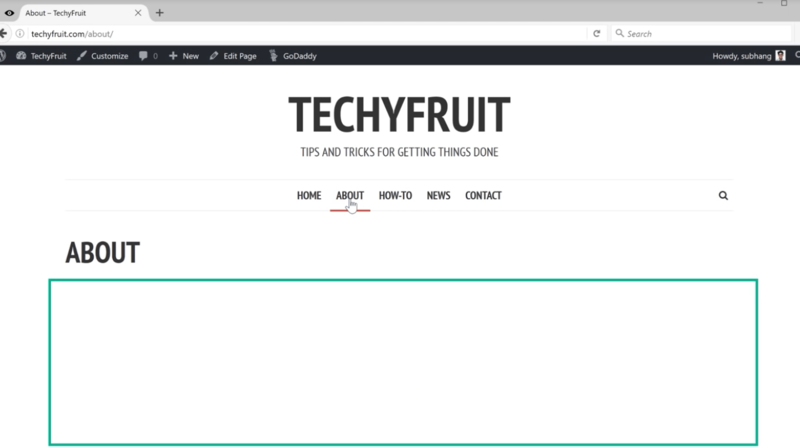 Let’s go to ‘techyfruit.com’ and make sure everything looks good. Yes, it’s online! 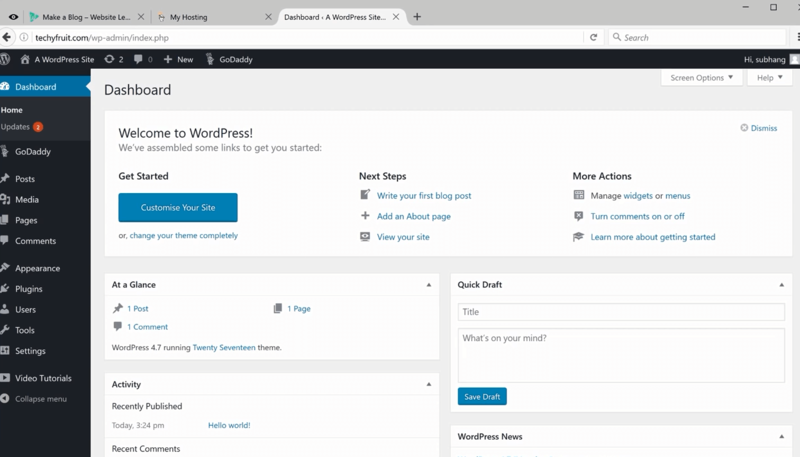 Right now it has the default WordPress look, which takes us to the next step. Time to install our own theme! To add a new theme, we’ll have to log in to our blog. 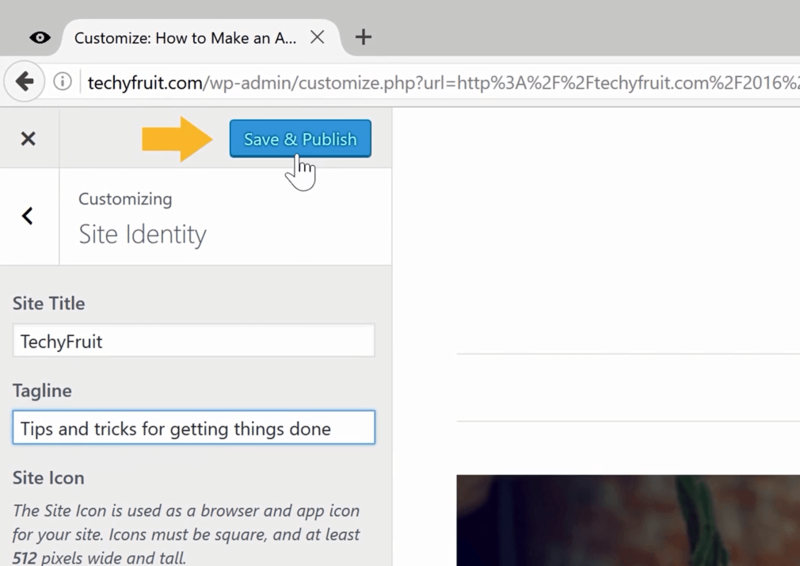 Add ‘login’ to the blog address (after the ‘/’ symbol). This will take you to the dashboard login page. Enter your username and password. 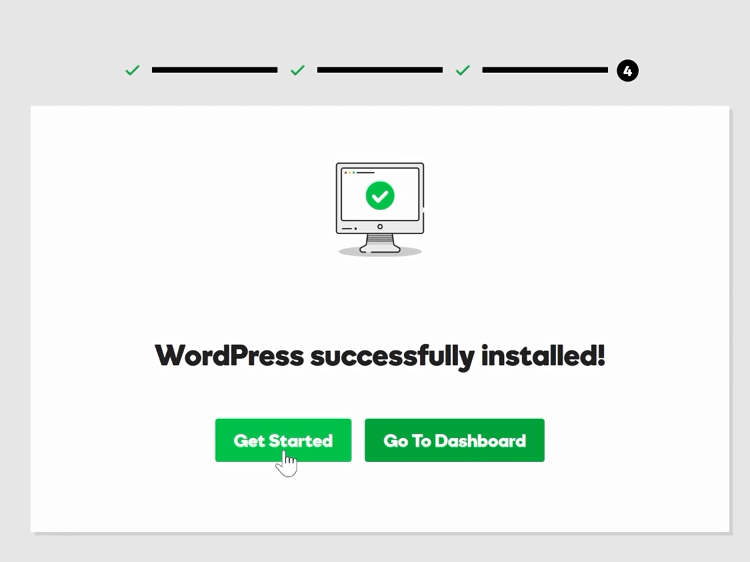 Click ‘Log In’ and WordPress will take you right to the dashboard. Choosing a theme is simple. Just go back to WebsiteLearners and scroll down to ‘Step 3’. Choose the theme you like and download it by clicking on the arrow. Let’s go back to our dashboard and open ‘Appearance’ > ‘Themes’. This is where you can add new themes and customize the ones you already have. 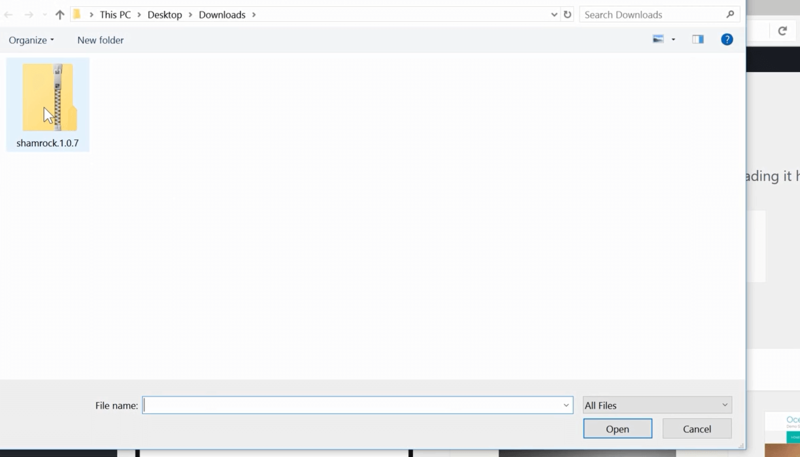 Click ‘Add New Theme’, then ‘Upload Theme’. Browse through your computer and select the theme we just downloaded. 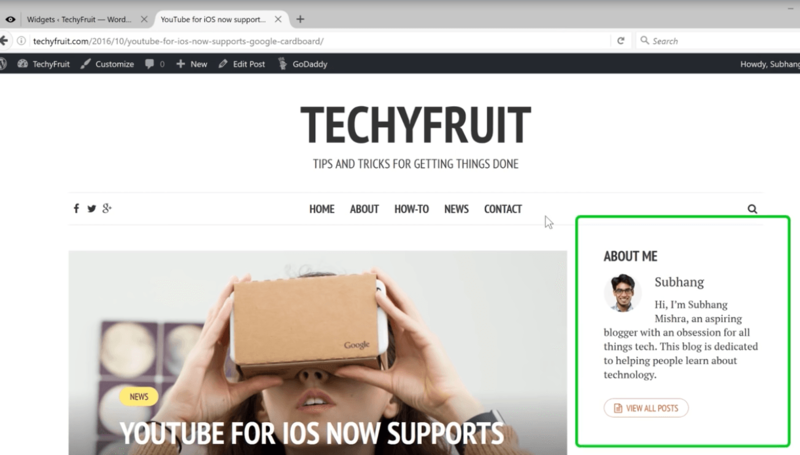 Install it and click “Activate” to use it on your blog. 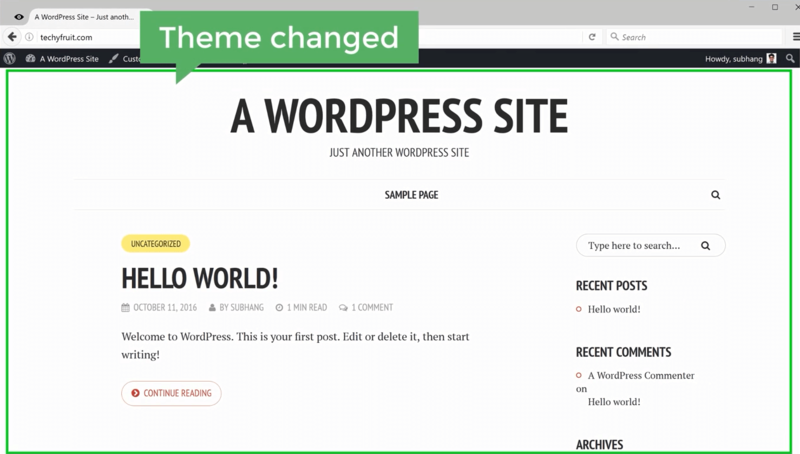 Open your blog and you’ll see the theme has been changed successfully. 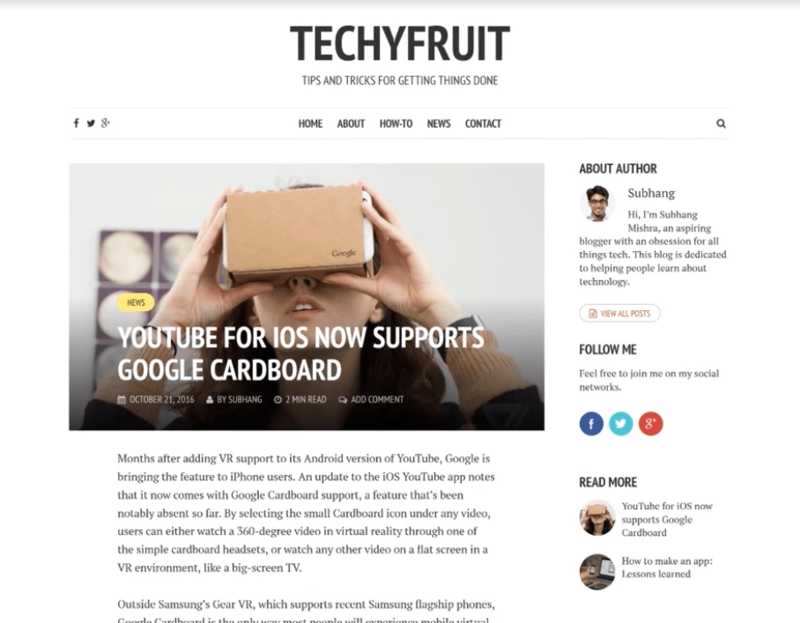 Our blog has a new look now, something we can work with. From this point, I encourage you to proceed to the next step and add content to your blog. Finishing this blog will require adding 12 elements. The first one: a blog post! 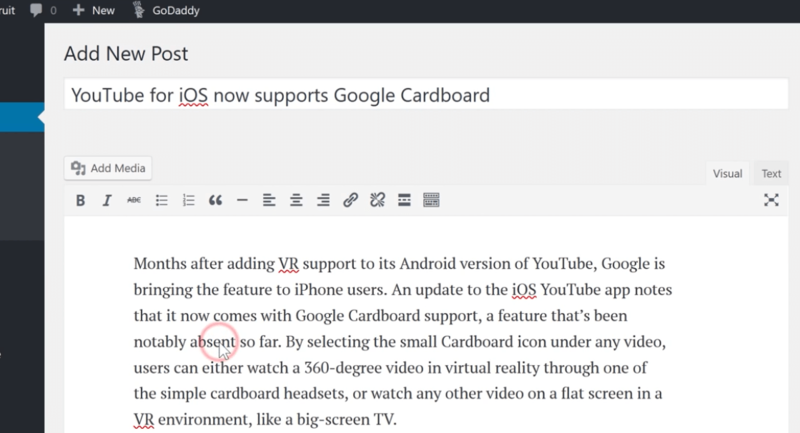 Blog posts are basically articles that you post on your blog. 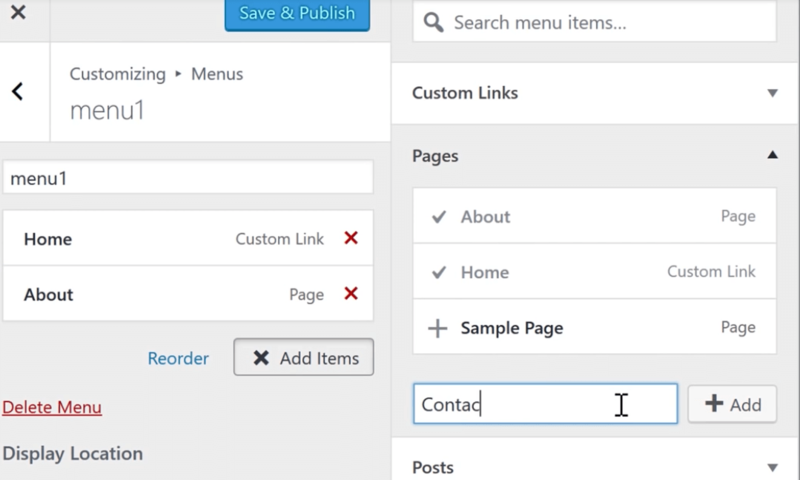 You can add your first post by clicking ‘+New’ and ‘Post’ in the admin bar of your newly created website. 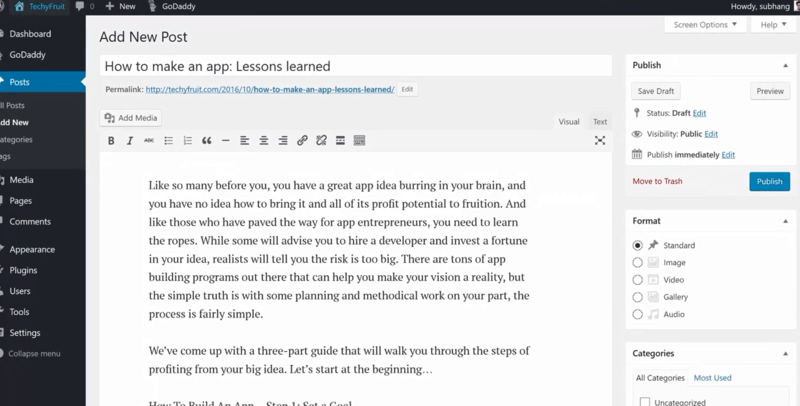 Insert the title and content of your first blog post. Now let’s add a featured image to the post. This is the image your visitors will see along with the post title and content when they read the article or see it on the home page. 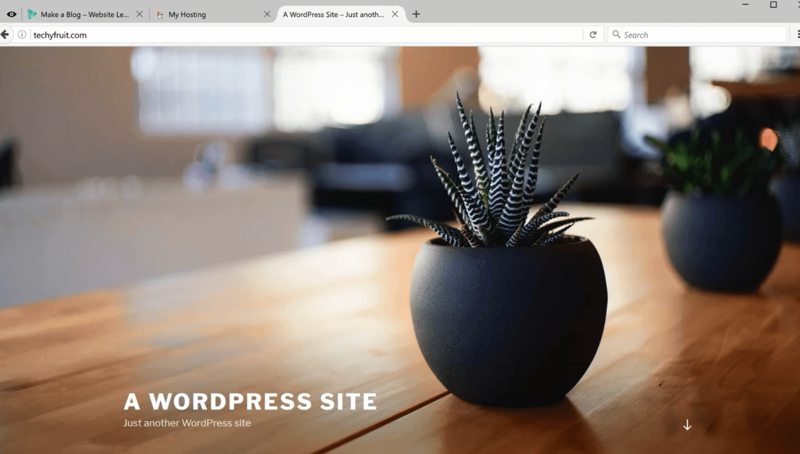 Adding a featured image is easy in the WordPress dashboard. Just click ‘Featured Image’ in the right sidebar and select the image you want to use in the post. Publish the post, then click ‘View Post’ to see how it looks now. This is how you’ll post articles to your blog. 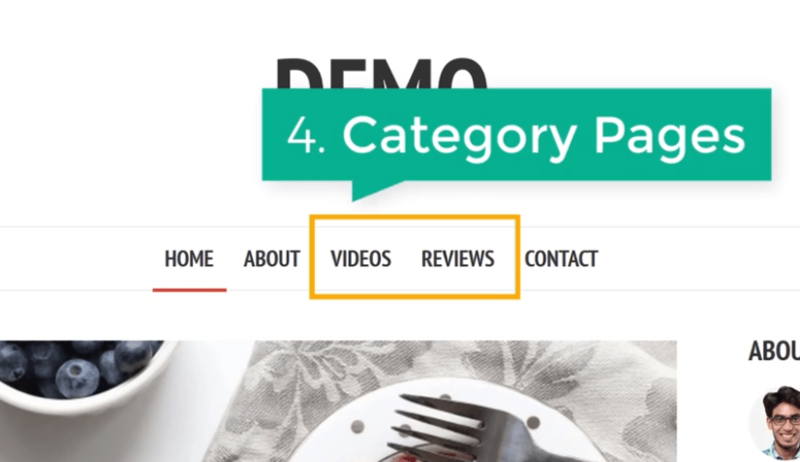 In just a few clicks, your content will go live! Have you ever done anything more simple? 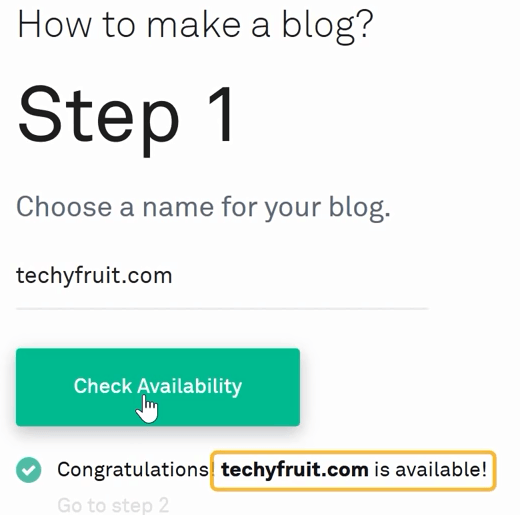 As you can see, the title of your blog is a default WordPress website name. Let’s change it! 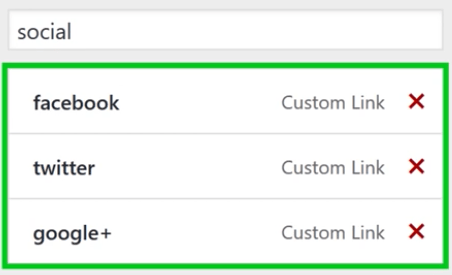 Change it easily by clicking ‘Customize’ in the admin bar at the top of the page, then clicking ‘Site Identity’. 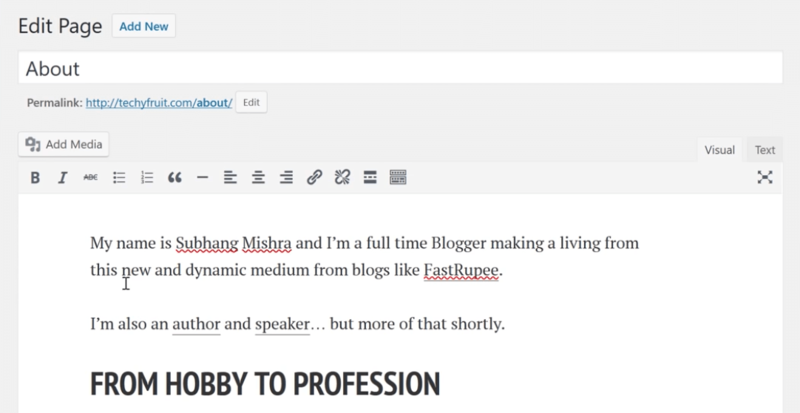 Insert the name of your blog along with a tagline, then click ‘Save & Publish’ to apply the changes. Our title looks much more attractive now! Now that our blog title is set, let’s create a top menu. Go back to your blog and click ‘Customize’ again. This time, select ‘Menus’. Now click ‘Add a Menu’ and give it a name. I will name mine ‘menu1’. Once you choose a name, click ‘Create Menu’. 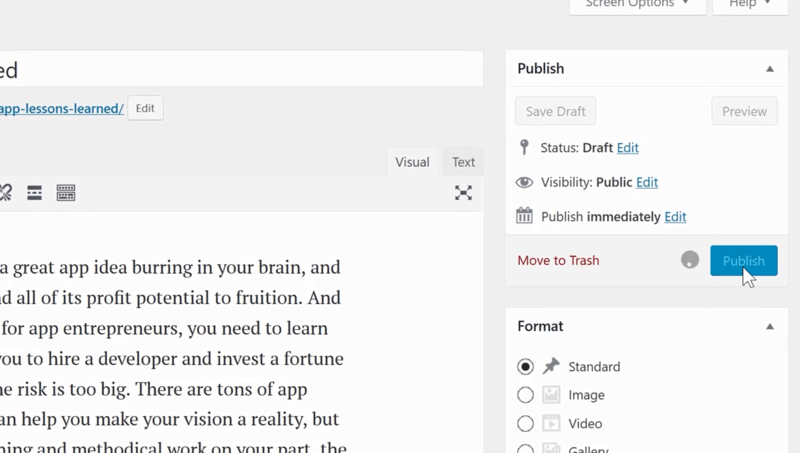 Now you’ll have to choose where you want your menu to appear on the blog. I’ll select ‘Main Navigation’. This will make the menu appear at the top. Now we need to add some links to the menu. 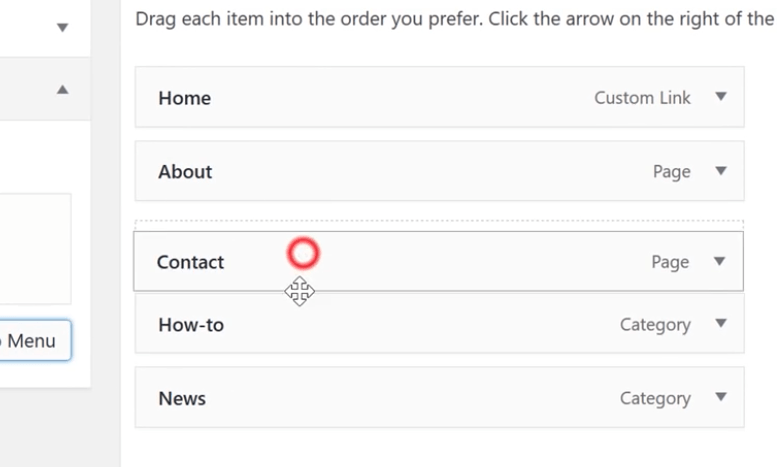 Click ‘Add Items’ and select ‘Home’. This will add the home page to the menu. Now let’s add a new page and call it ‘About’. 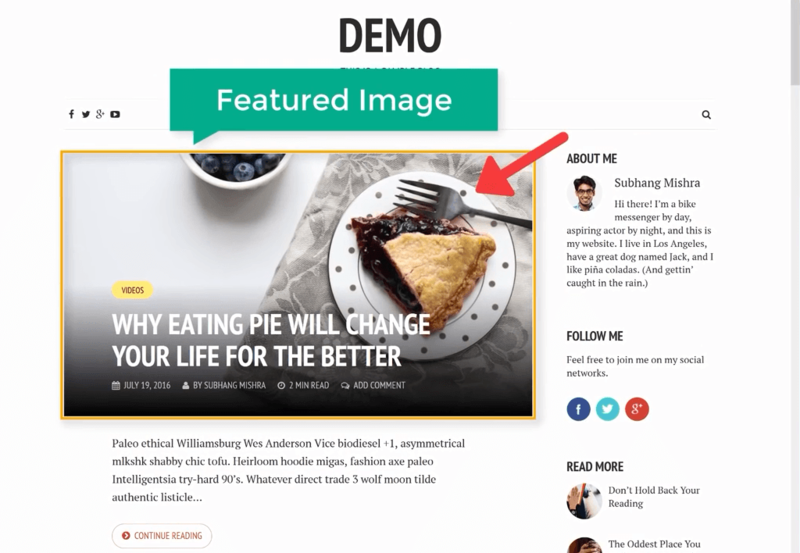 This will take your blog user to the ‘About’ page, which we will create later. Next, let’s add a page called ‘Contact’. 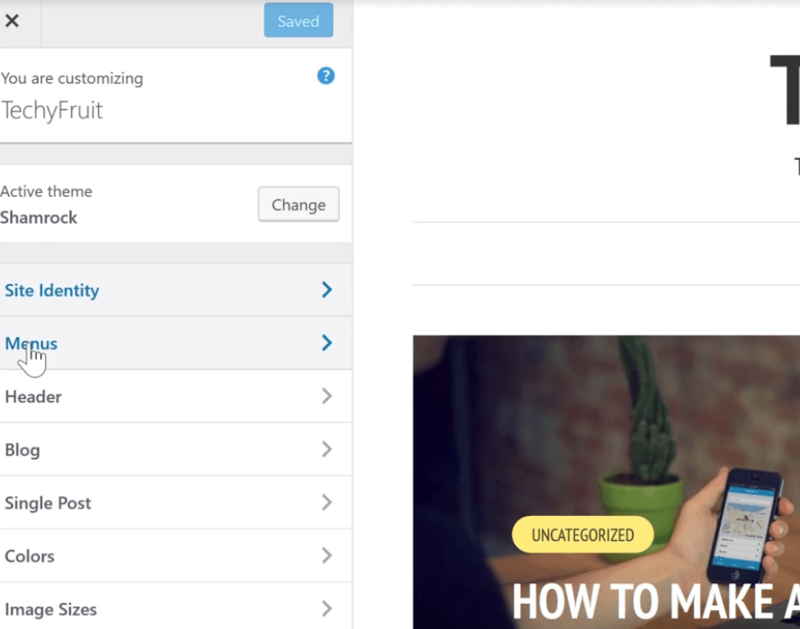 This will take your user to the page where they can contact you and get feedback. We will also create this later. Finally, click ‘Save & Publish’. 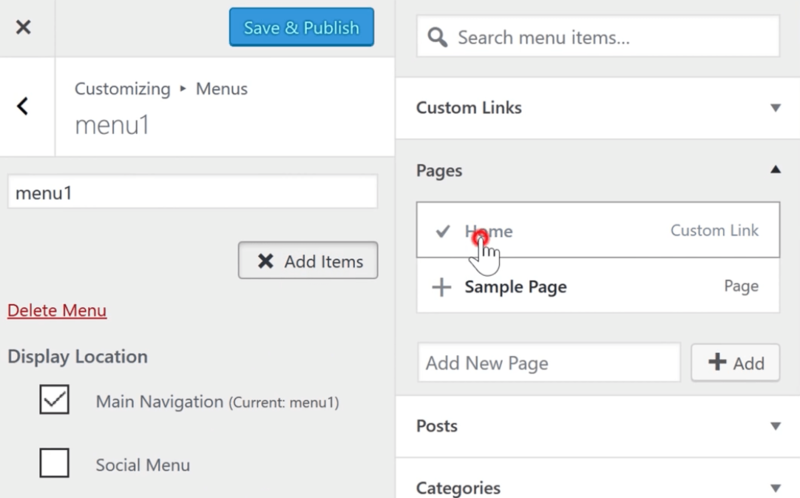 We’ve now created a menu that will help users navigate your blog! 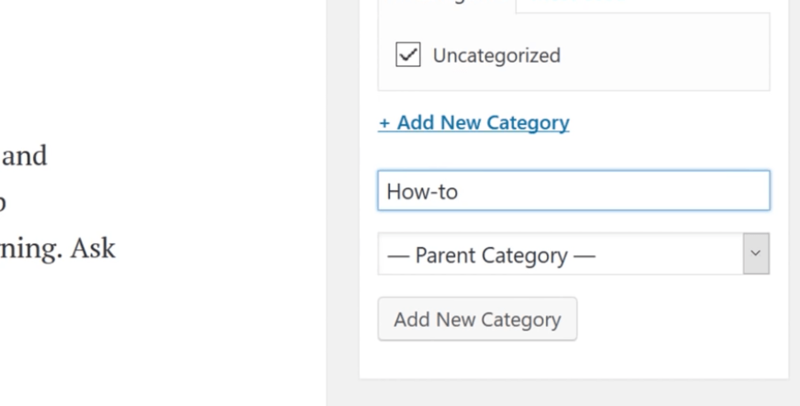 It’s time to add category pages to the menu. 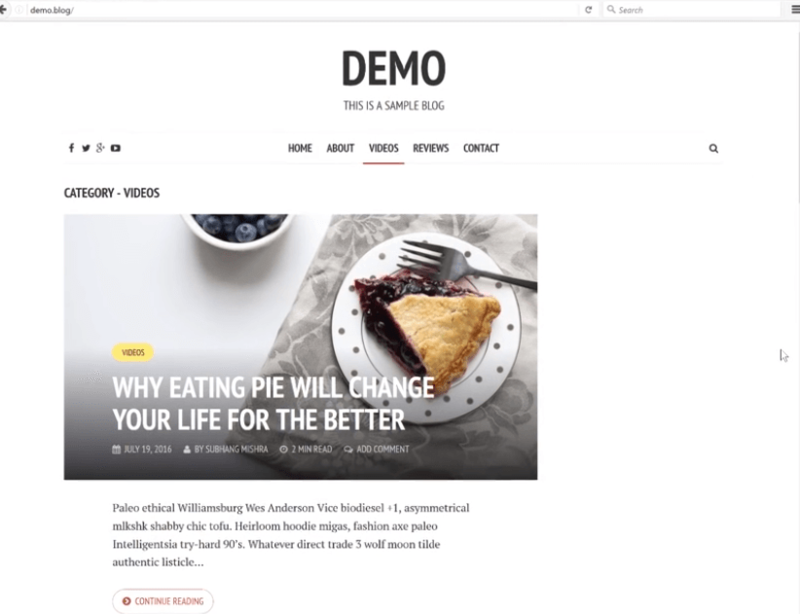 If you look at the Demo site, you’ll see that posts have small labels, such as ‘Videos’ and ‘Reviews’. This means that one post is in the ‘Videos’ category, the next one is in the ‘Reviews’ category, etc. 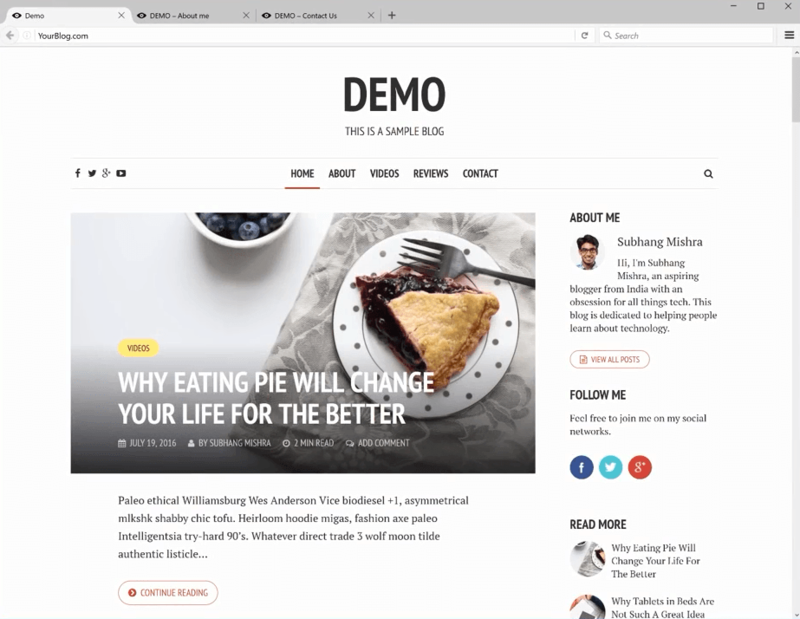 So if you click ‘Videos’ in the top menu of the Demo site, it will take you to a page with posts only in the ‘Videos’ category. The same logic applies to the ‘Reviews’ item. 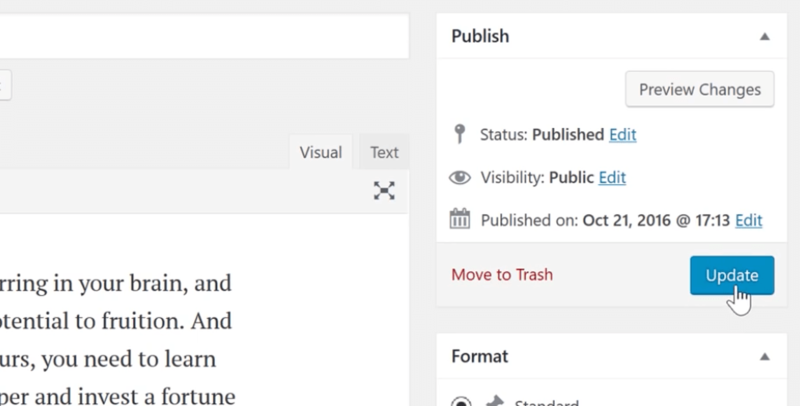 This makes it much easier for users to browse your blog and find the information they need. Now it’s time to apply this trick to our newly created blog. Go to your blog page and you’ll notice that your first blog post is labeled ‘Uncategorized’. That’s because we do not have any categories yet. To add categories, click on the post, then click ‘Edit Post’ in the admin bar. This will take you back to the post editor. Click ‘+ Add New Category’ and type in a category name. Let’s create the category ‘How-to’. Click ‘Add New Category’. Since we’ve just created a new one, we can now uncheck ‘Uncategorized’. Once everything is done, click ‘Update’ at the top of the right sidebar. Now’s a good time to create another post. 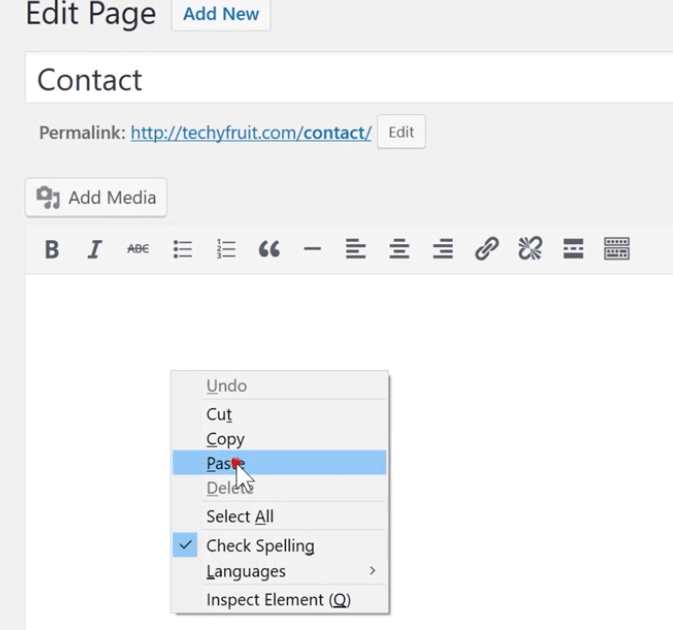 Click ‘Add New’ and give it a title, then paste the content of your second blog post into the editor. Create a new category called ‘News’ for this post and for others like it. 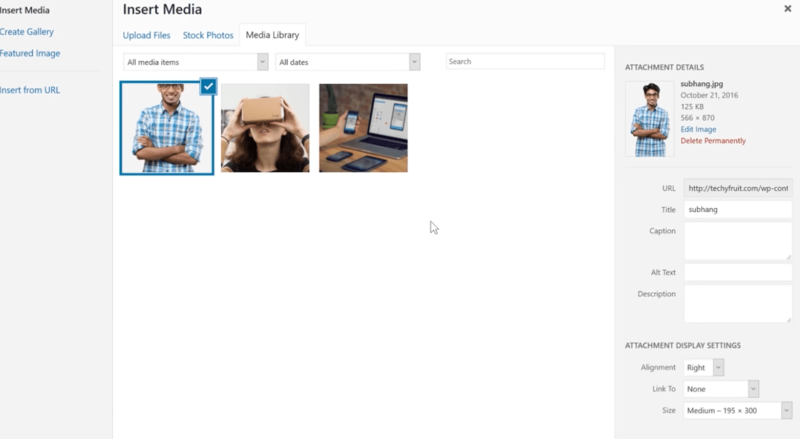 Add a featured image and click ‘Publish’. 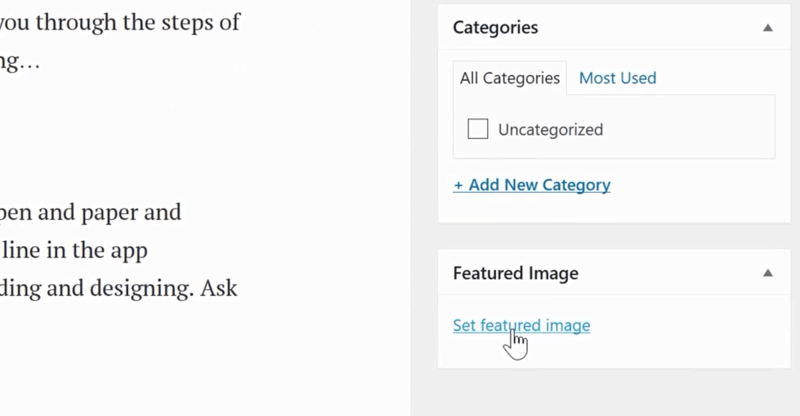 Now when we click ‘Appearance’ > ‘Menus’ > ‘Categories’, we’ll see the categories we’ve just created. Select the categories and click ‘Add to Menu’. 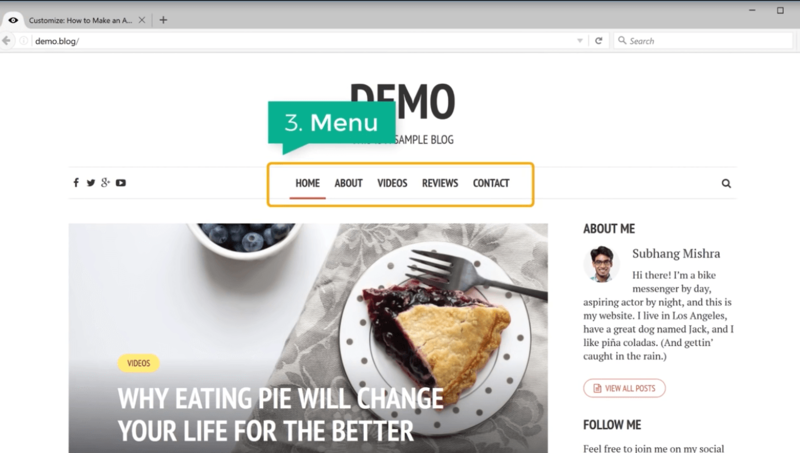 They will now be included in the top menu of your blog. We should probably rearrange our menu to look complete and easy to use. 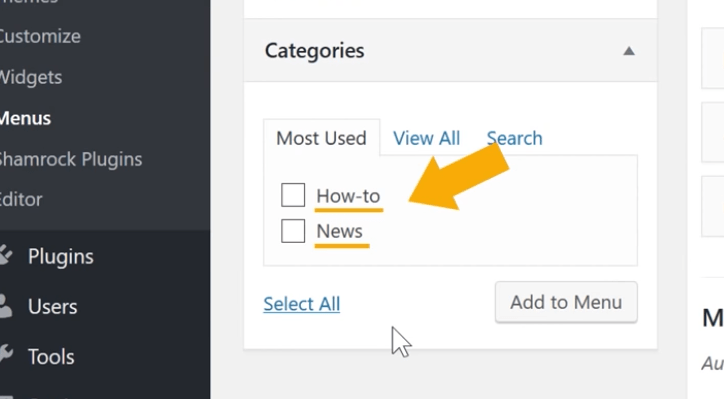 Drag the ‘Contact’ menu item to the bottom, under ‘How-to’ and ‘News’. Once you’ve rearranged them correctly, click ‘Save Menu’ at the bottom of the page. We’ve now added category page links to the menu. 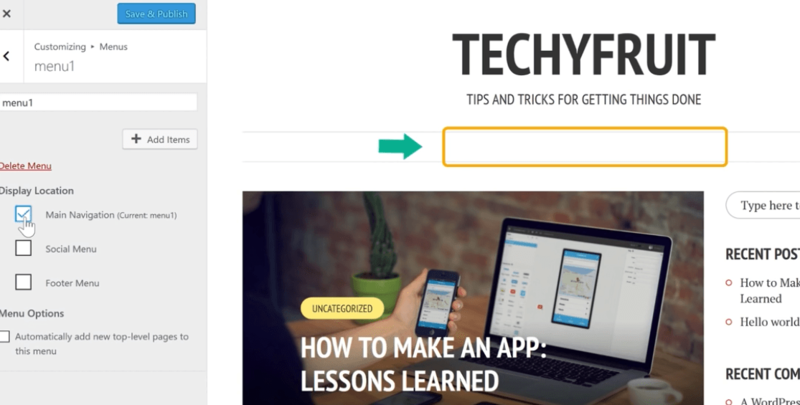 When a user clicks ‘How-to’, they will see all the posts in this category. Now it’s time to create an ‘About Me’ page. This page is important because it tells your readers about you. We’ve already created the page itself, but it’s empty right now. Let’s add some content to it by clicking ‘Edit Page’ at the top. Make sure you are on the ‘About’ page! This will bring you to the editor again. Insert the content here. It doesn’t look complete without an image. Click ‘Add Media’ and upload an image. I’m keeping this image full-sized. Make sure you select this size as well. 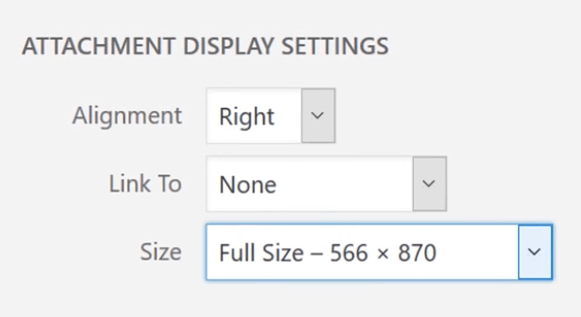 Once you’ve uploaded your image and selected the size, click ‘Insert into page’. Click ‘Update’ and view the page. Now we have a great-looking ‘About’ page that tells your readers who you are! Now we should add content to the ‘Contact’ page. To add a contact form, we need to install a plugin. To do this, go back to the blog and click ‘Dashboard’. Then go to ‘Plugins’ and click ‘Add New’. 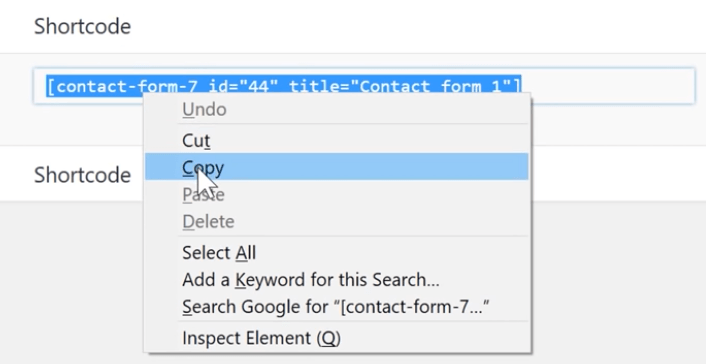 Search for the plugin ‘Contact Form 7’. Click ‘Install Now’. Once it’s installed, click ‘Activate’. 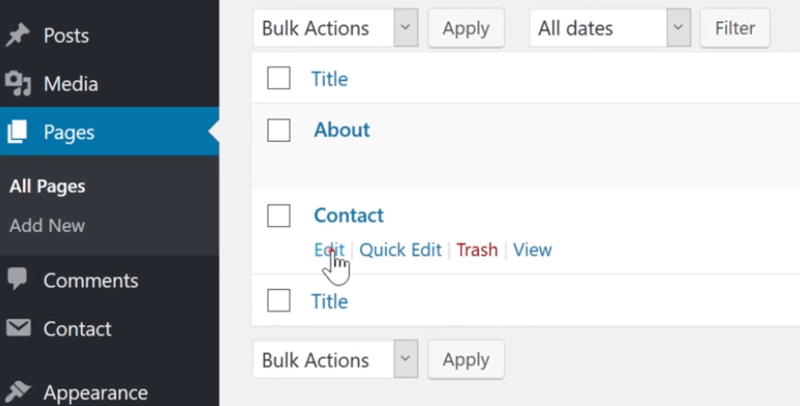 A new menu item called ‘Contact’ will be added to your dashboard. Click the link to see the default contact form. You will see a shortcode next to it. Select it and copy the code. Now we’ll add this shortcode to our page. Go to ‘Pages’ and click ‘Edit’ under the ‘Contact’ page. Click ‘Update’ to save the changes and open the page. 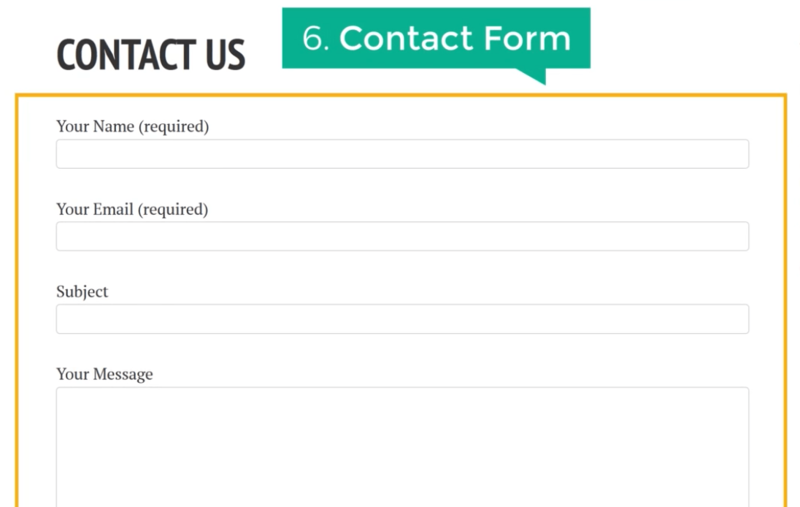 We now have a contact form! Whenever your user enters their message and clicks the ‘Send’ button, you’ll receive an e-mail from them. This is one of the best ways to keep feedback simple and convenient. 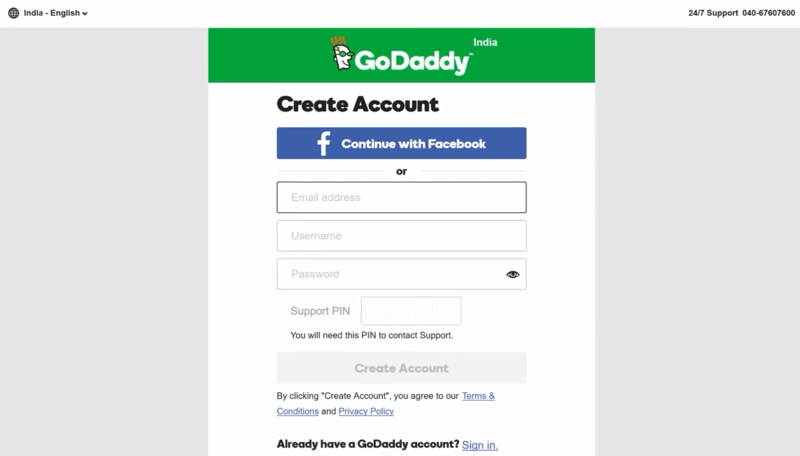 The message will be sent to the same e-mail address you use for your GoDaddy account. 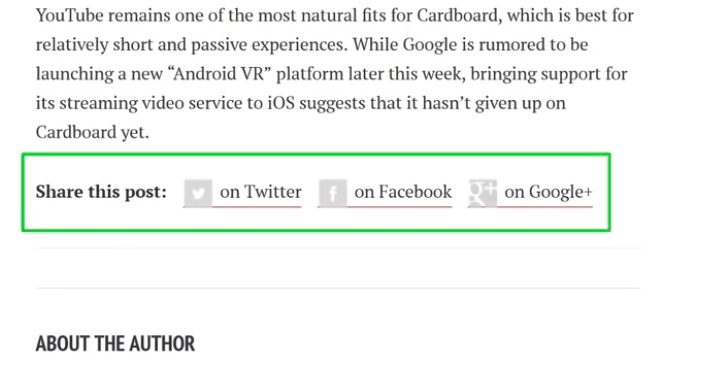 The next plugin we’ll install on our blog will add those cute social sharing buttons under each blog post! 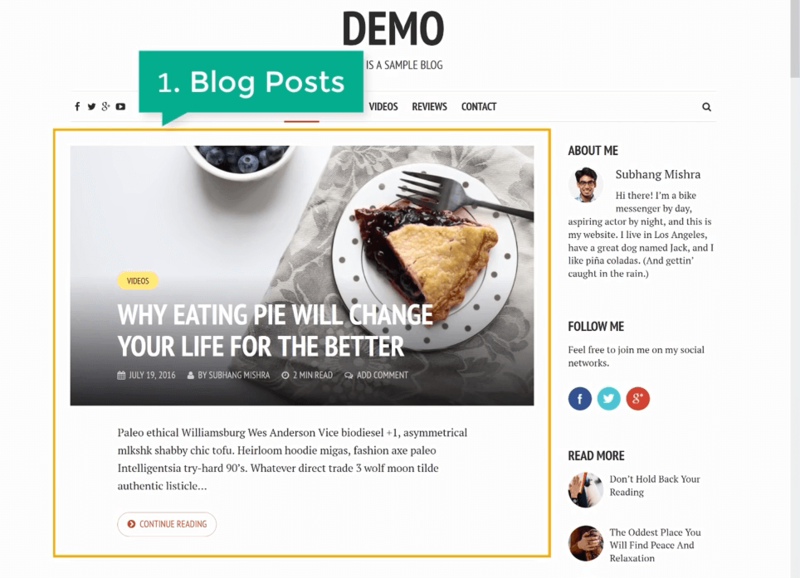 These will allow your users to share your blog posts on social networks and spread the word about your website. Now we need to add a new plugin. Search the directory as you did before, this time for ‘Social Sharing by Danny’. Once you find it, install and activate. Now let’s go to our blog and see it in action. 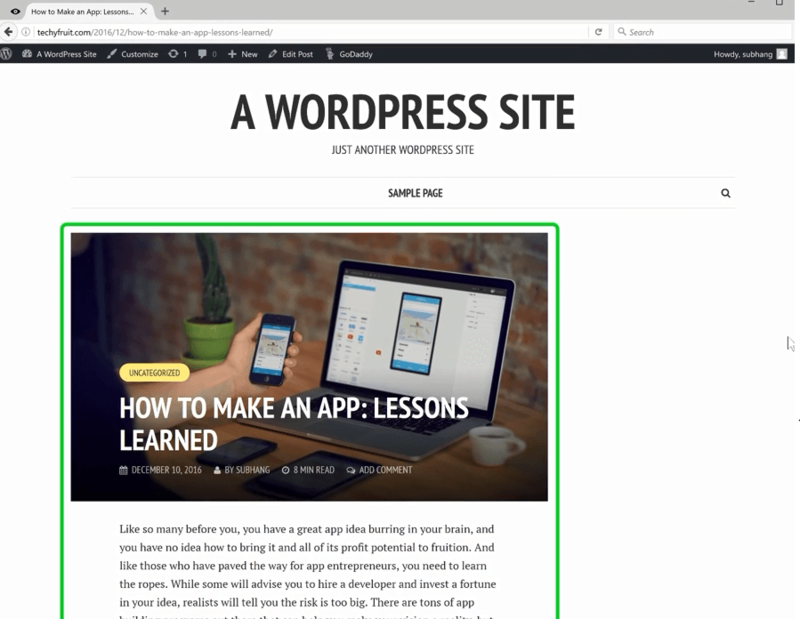 Open a blog post and scroll down to the bottom, and you’ll see that the plugin works perfectly! 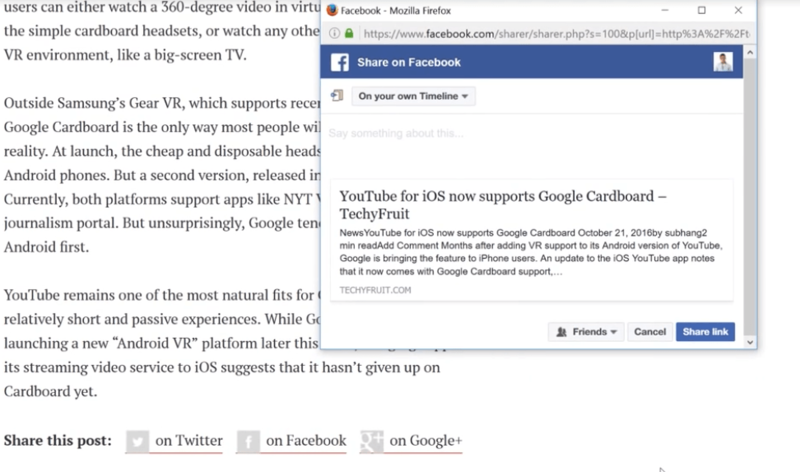 Now your reader can share your articles on social media and show your website to their friends! Let’s add social links to the top menu. 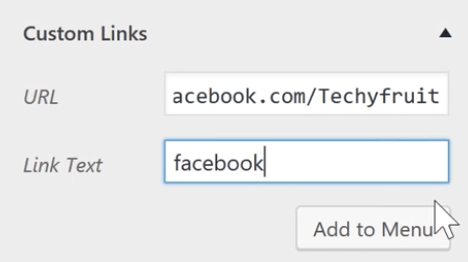 These links will help your users find you on social media. 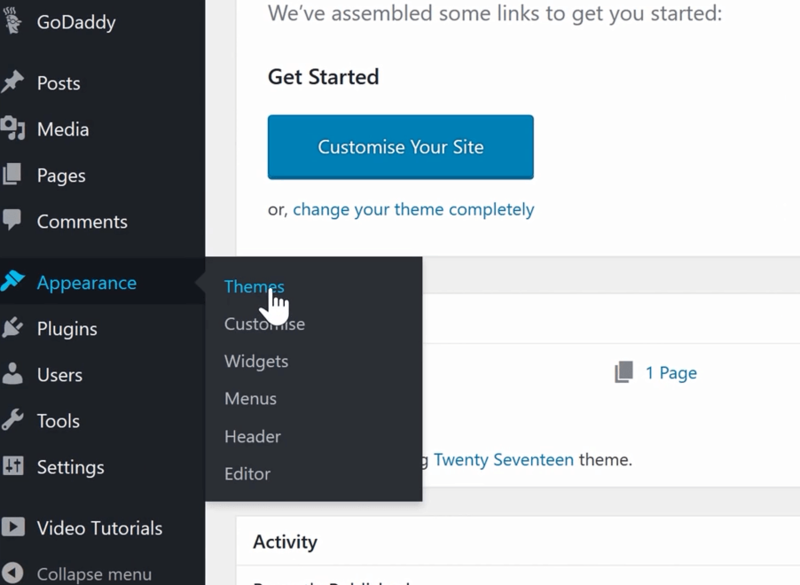 To add them, go back to our blog and click ‘Customize’ in the admin bar, then select ‘Menus’. Let’s create a new menu for social links and name it ‘Social’. Select ‘Social Menu’ and click ‘Add Items’. 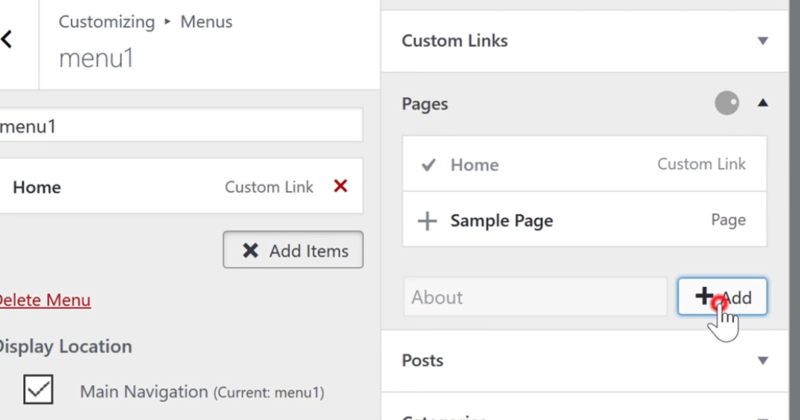 Go to ‘Custom Links’ and enter the social media links you want to add to the menu. 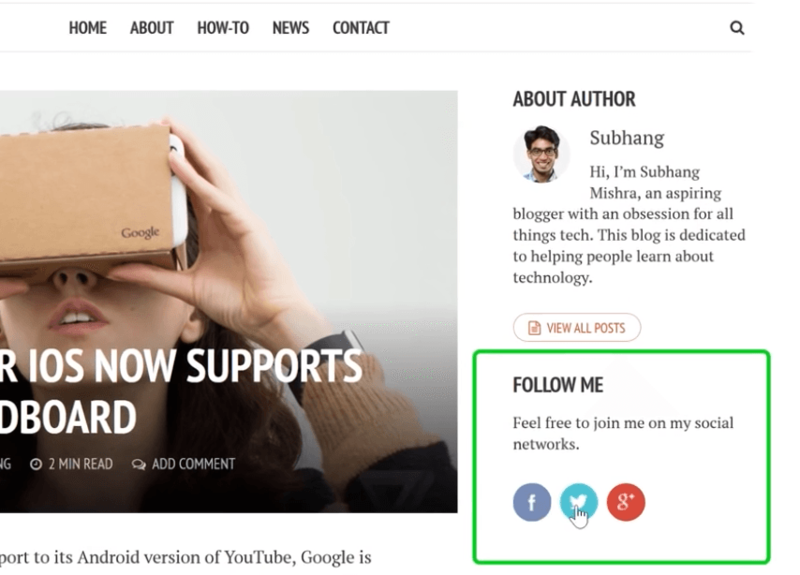 Once you’ve added all the social media links, click ‘Save & Publish’ and go back to the blog. You should now see your social media links in the top menu! What’s next? Every post should have an ‘About the Author’ section! I’m going to show you how to add it in just a few clicks. 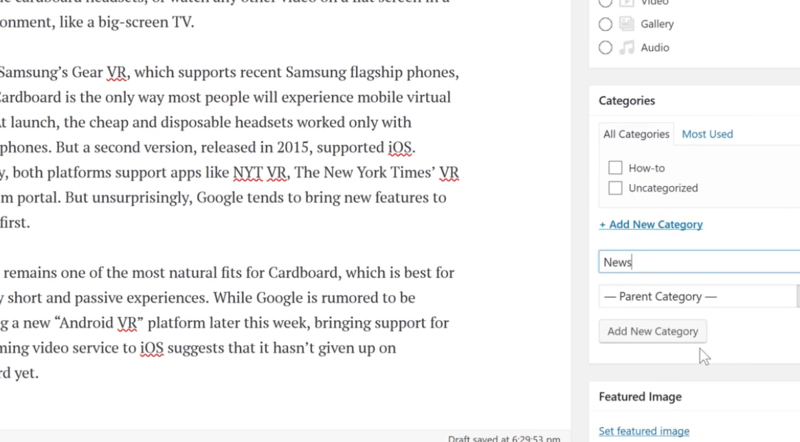 This section will tell your readers about the author of the article they’ve just read. 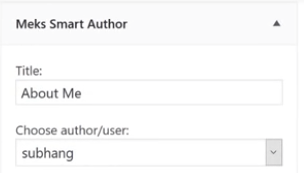 To add this section, go to the WordPress Dashboard and click the ‘Your Profile’ item in the ‘Users’ menu. 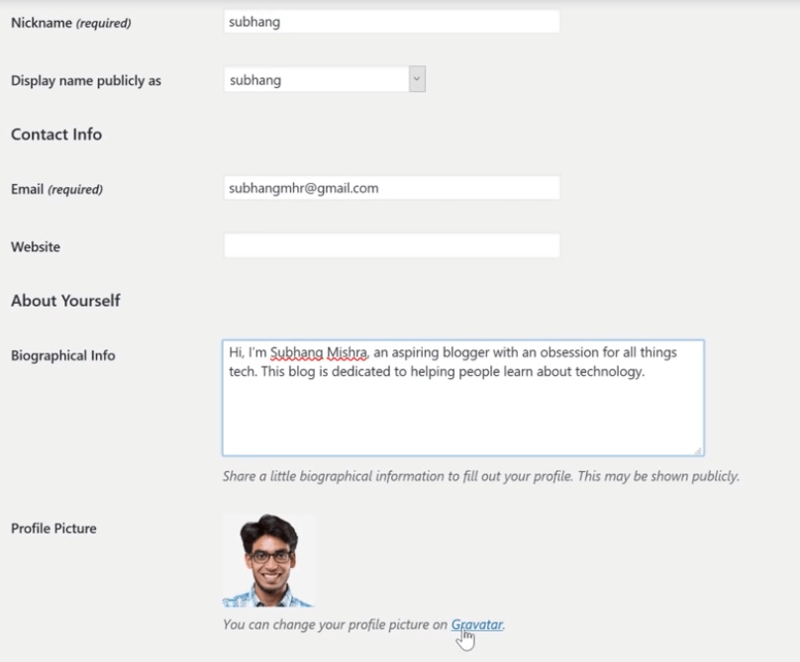 From here, you can fill in information about yourself and add a short bio as well as the profile picture you want to display next to your name. Once you’ve entered all the information, click ‘Update’. Now let’s check how it looks on the blog. 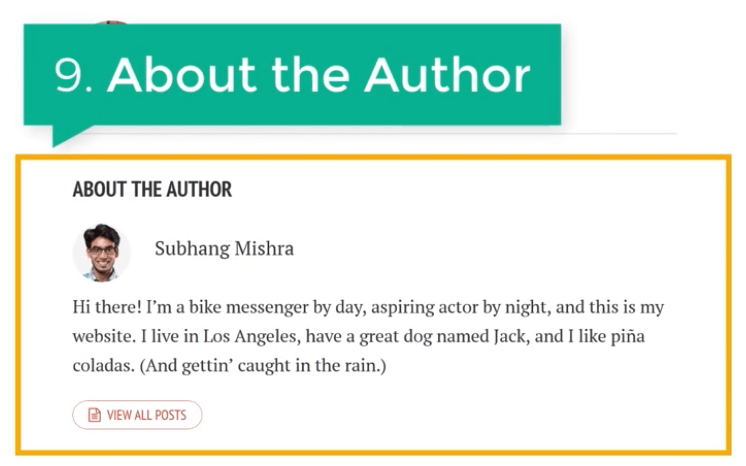 Your author bio will now appear under each of your blog posts! We’re not done yet! Now we should add the ‘About Me’ section to the right sidebar of our website. To do this, we’ll have to install one more plugin. You know what to do! 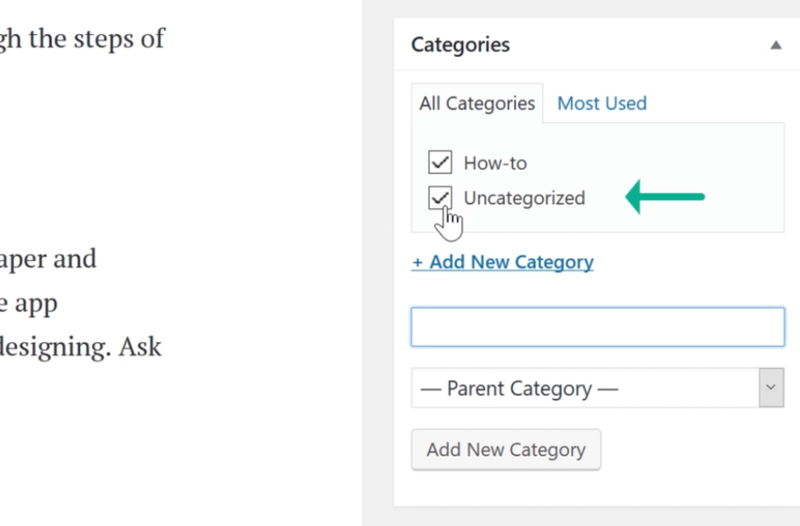 Search for the ‘Meks Smart Author’ plugin in the WordPress directory. 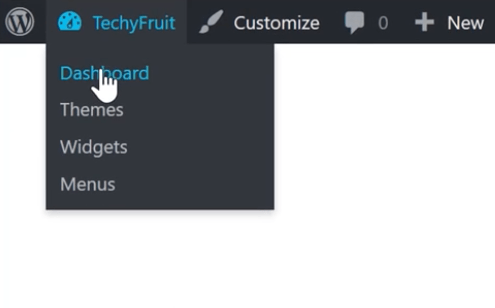 Install and activate the plugin, then go to the ‘Widgets’ panel in the Dashboard, under ‘Appearance’. 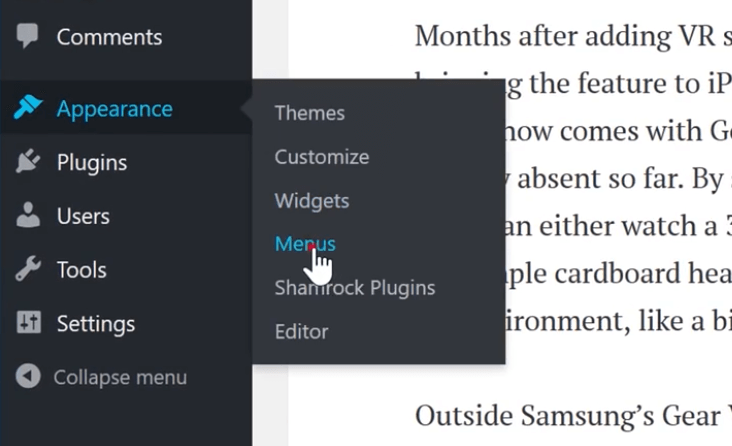 Drag the ‘Meks Smart Author’ widget into the ‘Post Sidebar’ area. Name this section ‘About Me’ and save the changes. Go back to your blog and refresh the page. 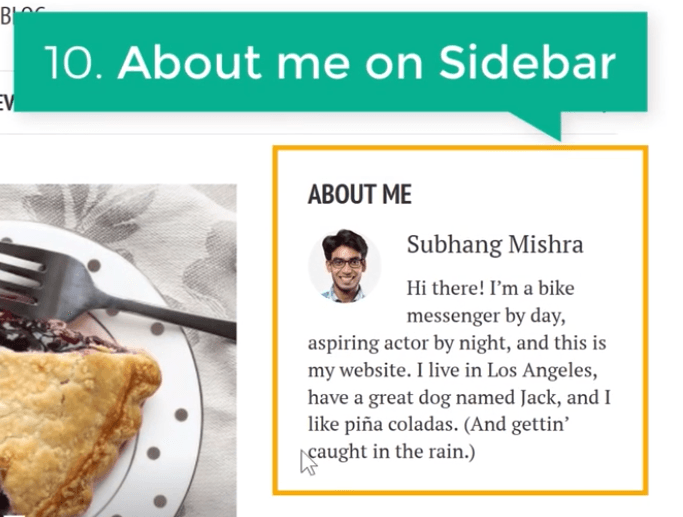 You should now see the ‘About Me’ section in the sidebar! Let’s add a ‘Follow Me’ section to our sidebar as well. 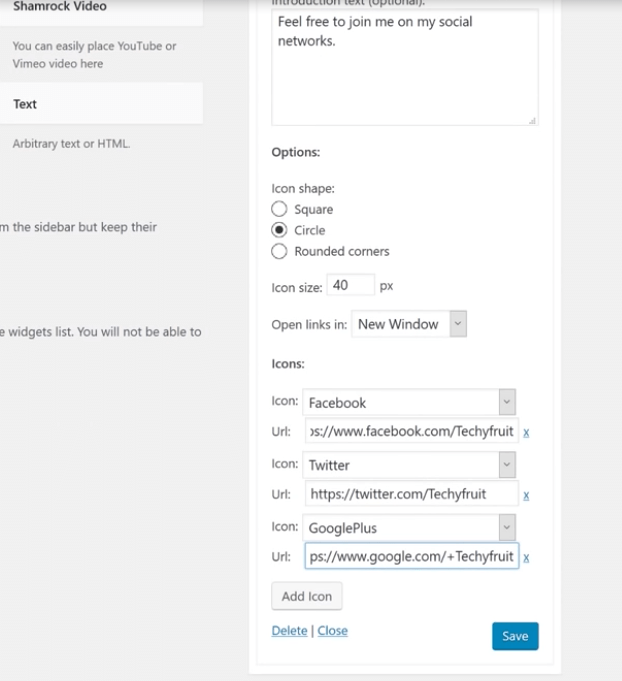 We need to install another plugin that will allow us to add social media links here. 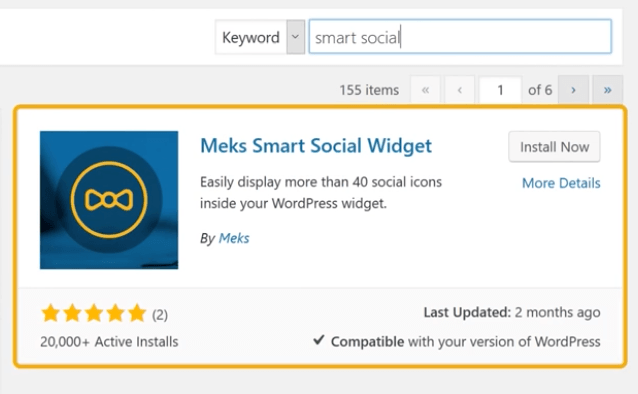 Search for the ‘Meks Smart Social’ plugin, then install and activate it. 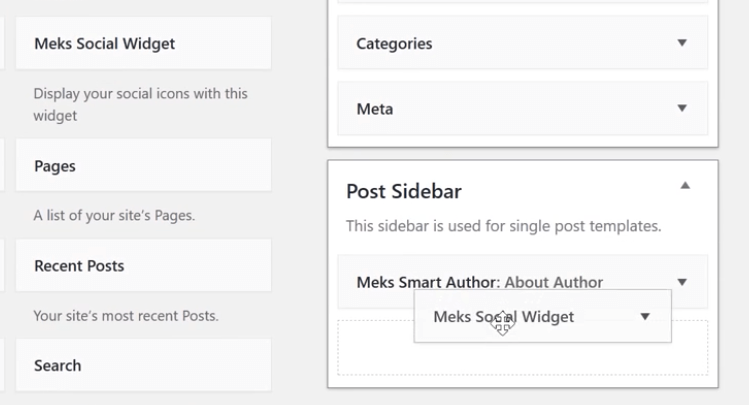 Go to the ‘Widgets’ panel again and drag the ‘Meks Smart Social’ widget into the ‘Post Sidebar’ area. Add some text asking your website visitors to follow you on social media, then add links to your profiles on those networks. Once you’ve entered everything, click ‘Save’ and check your blog page. 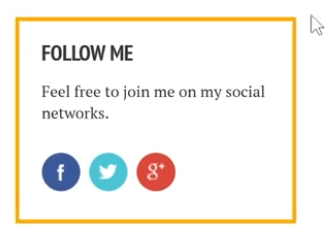 You now have a special section with links to your social media profiles! We’re almost there! All that’s left to add is a ‘Read More’ section! 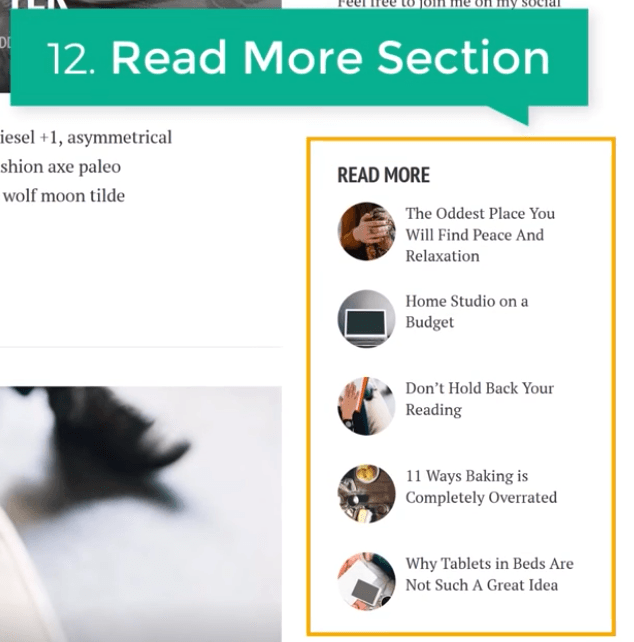 This section will show your readers more of your articles, inviting them to check out your other blog posts. 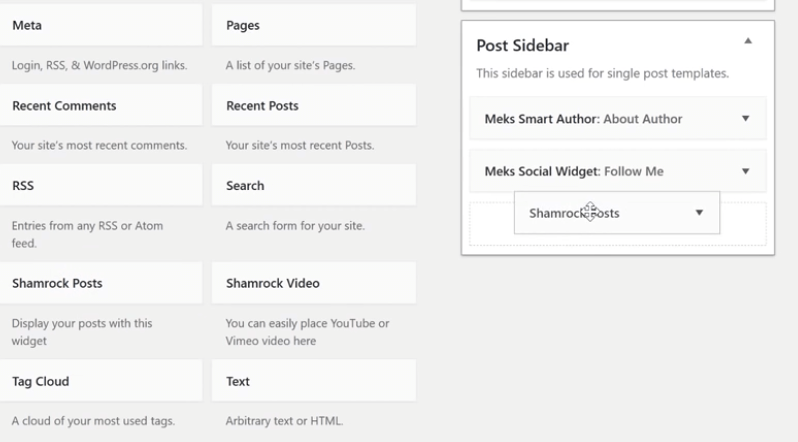 To add this section, go to the ‘Widget’ panel and drag the ‘Shamrock Posts’ widget into the ‘Post Sidebar’ area. Name the widget ‘Read More’ and save the changes. 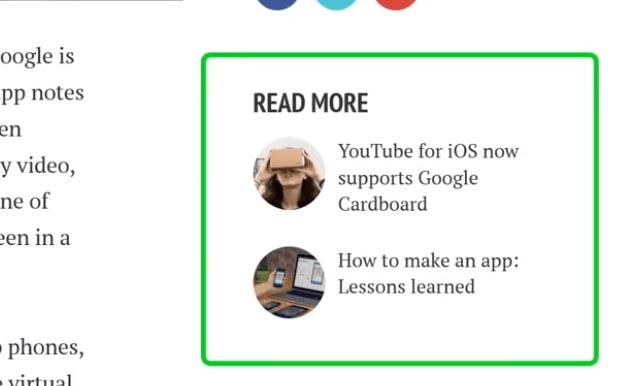 Now when you refresh your blog, you’ll see a new ‘Read More’ section in the right sidebar! The best part is that you can apply these steps to any theme you want! 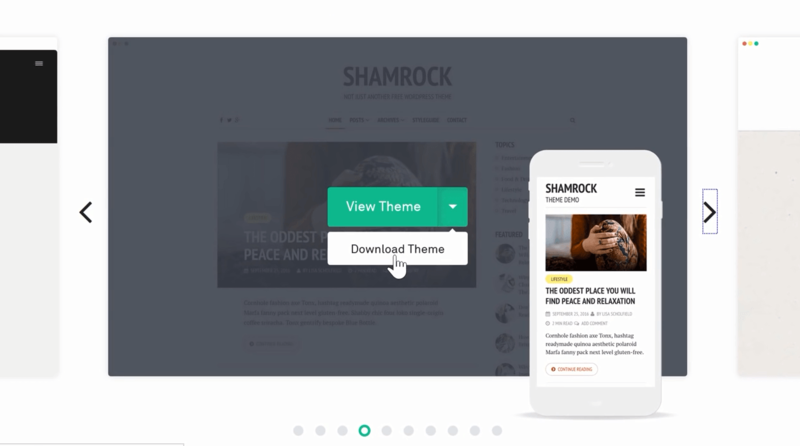 If you want more themes, visit our WebsiteLearners Themes page. That’s it, guys! As you can see, we’ve created a fully functional blog in a few pretty easy steps. 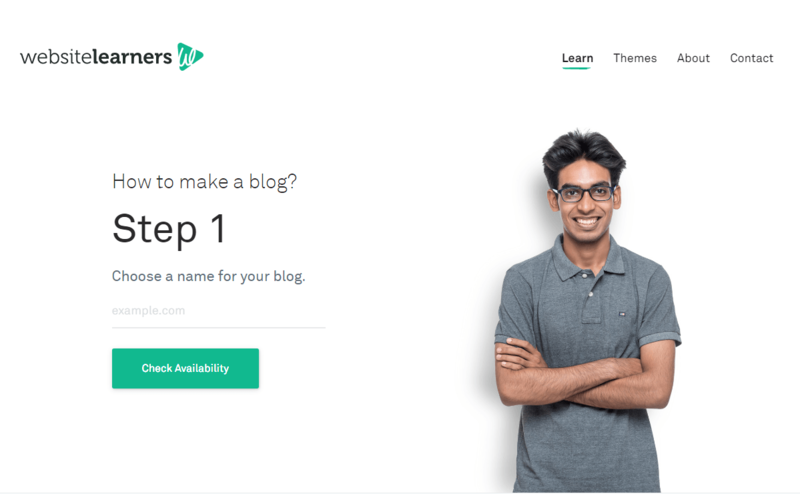 To start your own blog, visit the WebsiteLearners ‘Make a Blog’ page now!